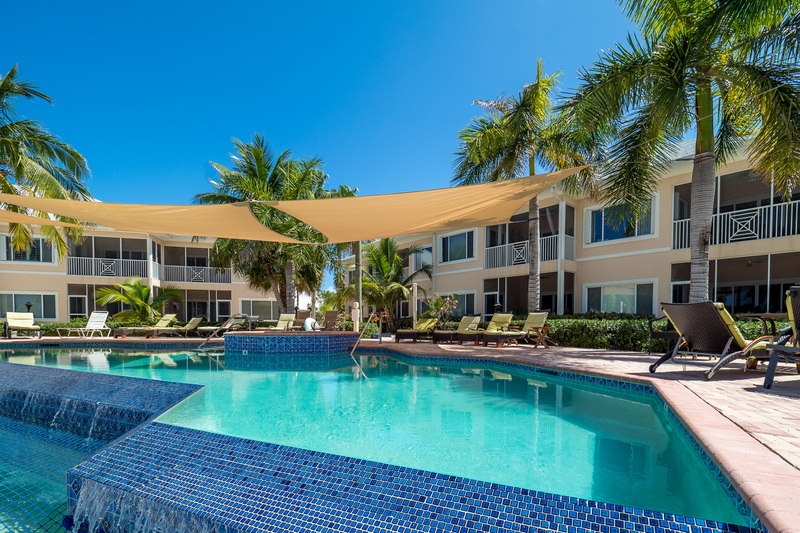 Situated within the prestigious development of Cayman Kai, Kaibo Sunset Condominium B17 is the premiere vacation getaway! Welcome to Kaibo Sunset - Unit B17! 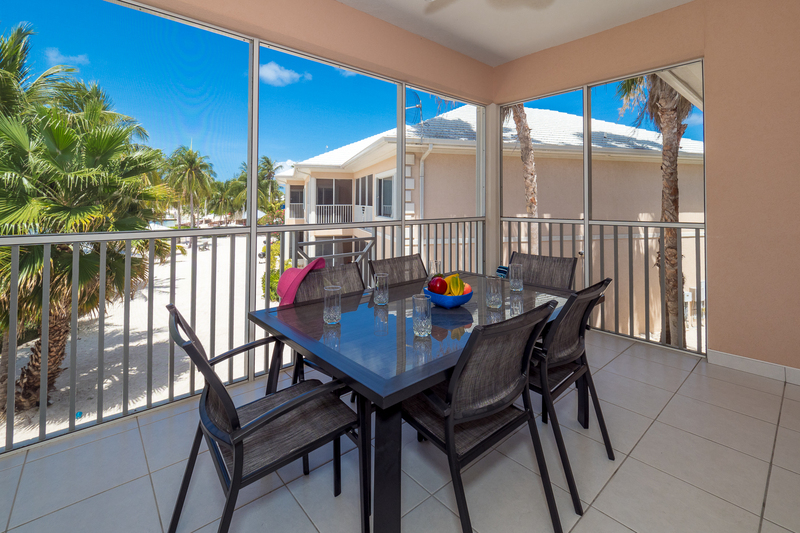 Situated within the prestigious development of Cayman Kai, Kaibo Sunset Condominium B17 is the premiere vacation getaway in Grand Cayman with fun and activities at your finger tips! 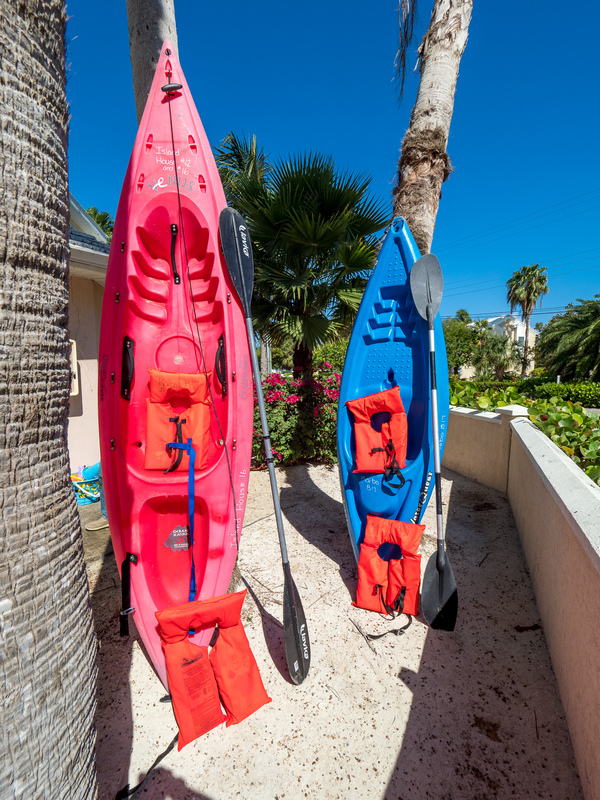 Kaibo Sunset is equipped with 2 two person kayaks, 2 one person kayaks and 5 life jackets. 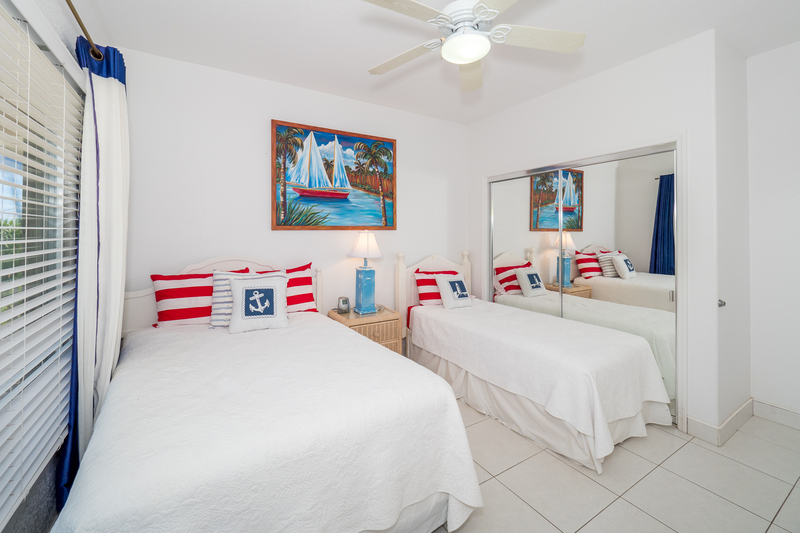 Perfect for navigating the calm waters, steps from your door! 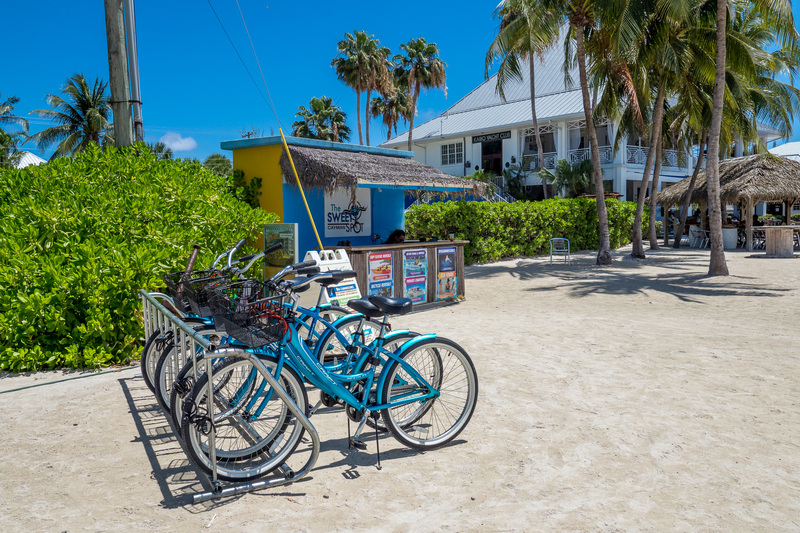 There are also 5 adult island bikes available for your use! 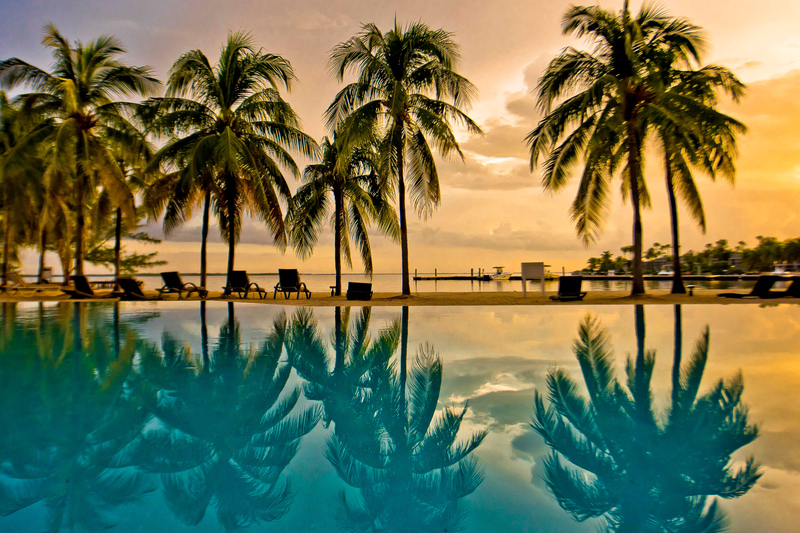 For the water enthusiast it is paradise, with soft white sandy beaches fringed with coconut and royal palms intermixed with carefully chosen tropical plants that will excite the senses and add to the Caribbean experience. 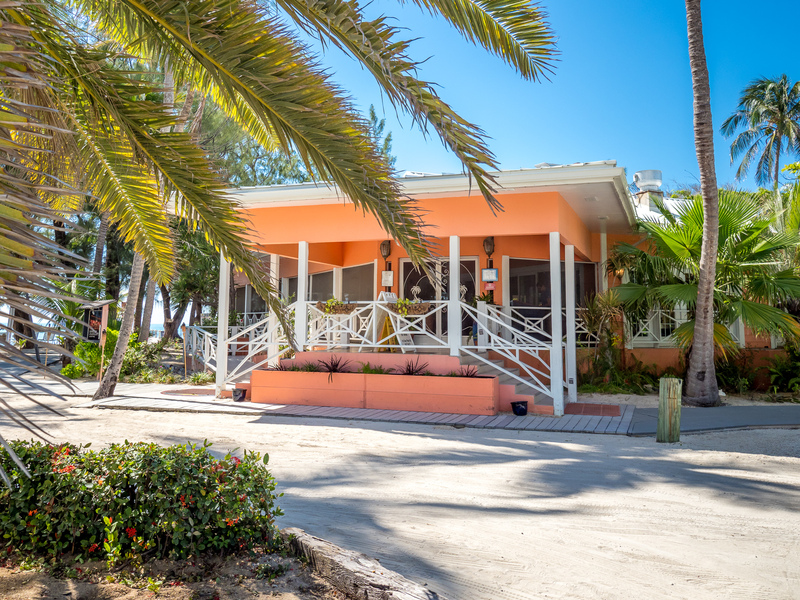 Kaibo Sunset is a recently built beach front condominium at the Kaibo Yacht Club, that can comfortably accommodate five persons in a contemporary Caribbean style with all the comforts of home. The main living room also incorporates the kitchen and dining areas with direct access through large sliding doors onto the spacious screened patio, it is well appointed with stylish furniture reflecting a nautical twist and includes in home entertainment facilities such as cable TV and high speed wireless broadband,(wifi) access and stereo sound system. 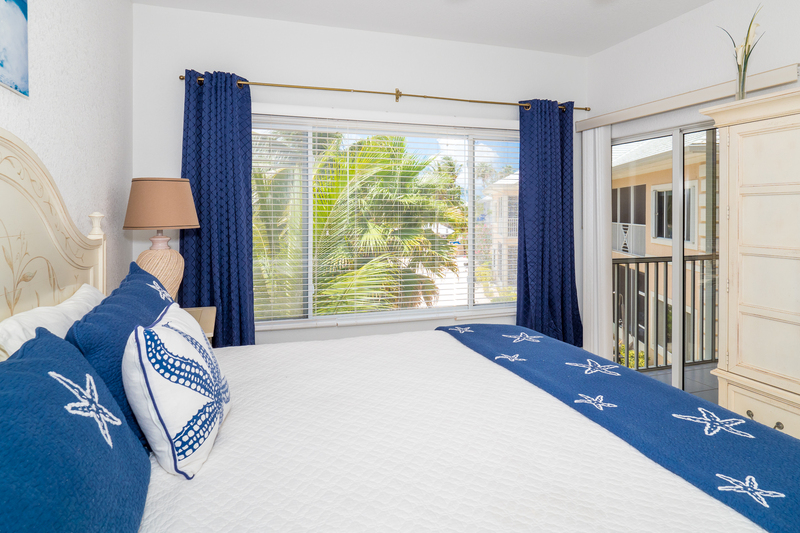 The master bedroom takes advantage of the breath taking vistas afforded to us on the first floor (UK),second floor (US) and the large windows allow for 180 degree views of crystal blue ocean! 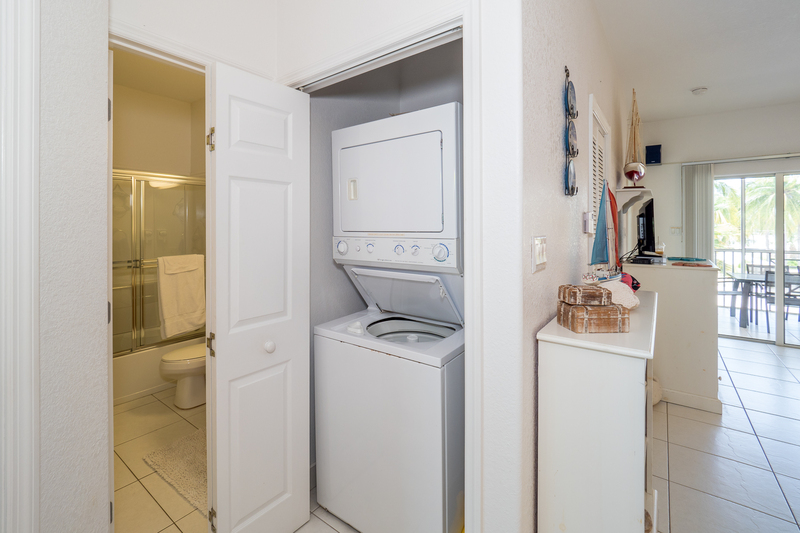 Incorporating direct access to the large patio, an en suite bathroom, walk in closet, classical white furniture and a exceptionally comfortable king size bed. 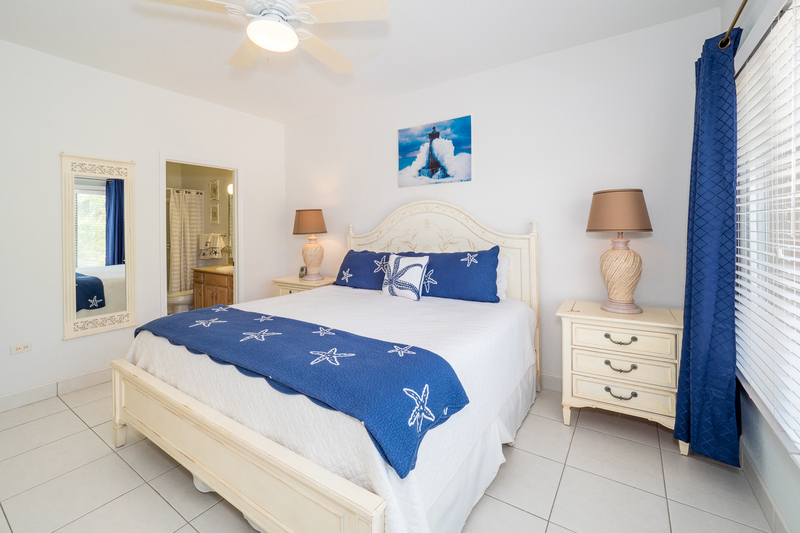 The guest bedroom is furnished with 2 twin beds, dresser and a large mirrored closet and is directly adjacent to the second bathroom. Other on-site facilities include a stunningly beautiful infinity pool and spa situated within private landscaped gardens that lead to the calm, reef protected, warm waters of the North Sound enabling you to find the relaxation you so richly deserve. The only real choices that need making are where to eat and drink. 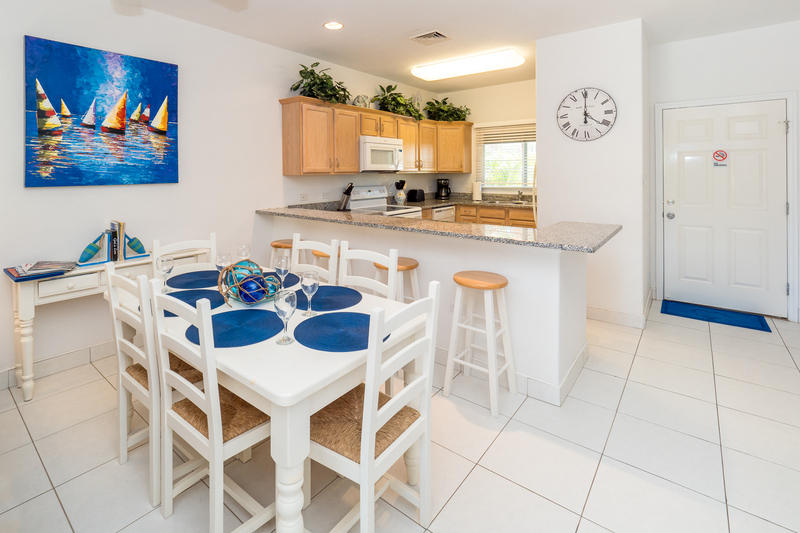 A well equipped kitchen awaits but if a night off is what's in order or if vacations are a kitchen free zone then many first class restaurants await you. 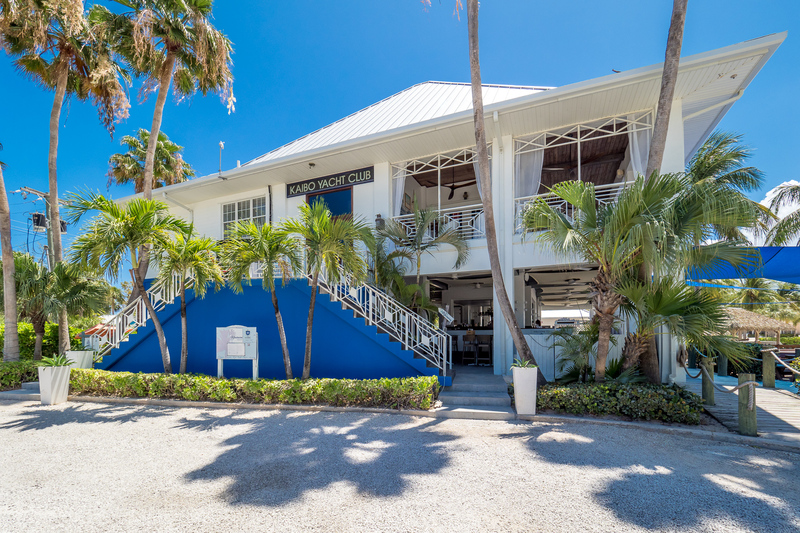 The Kaibo Yacht Club beach bar serves excellent food throughout the day and is supplemented in the evenings with a more formal menu for those who wish to eat under the stars casual Carribean style. On Friday, Saturday and Sundays a more intimate fine dining experience is available at the 'Upstairs' restaurant, overlooking the Kaibo beach and calm waters of the North Sound. Like to to fish and eat your catch? We also provide a new grill to serve up your catch of the day. 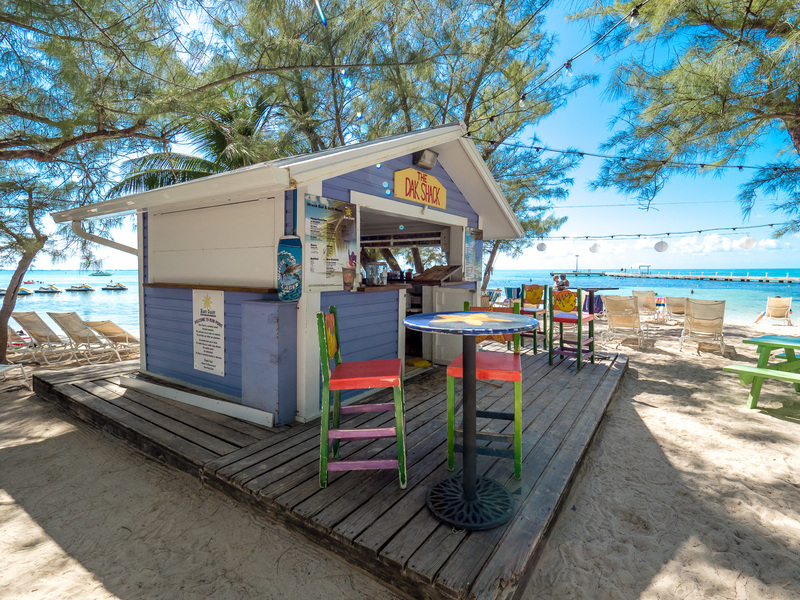 A short distance from Kaibo is the world famous Rum Point Beach, hosting a bar and grill, a fine dining restaurant and weekly beach bar-b-que. 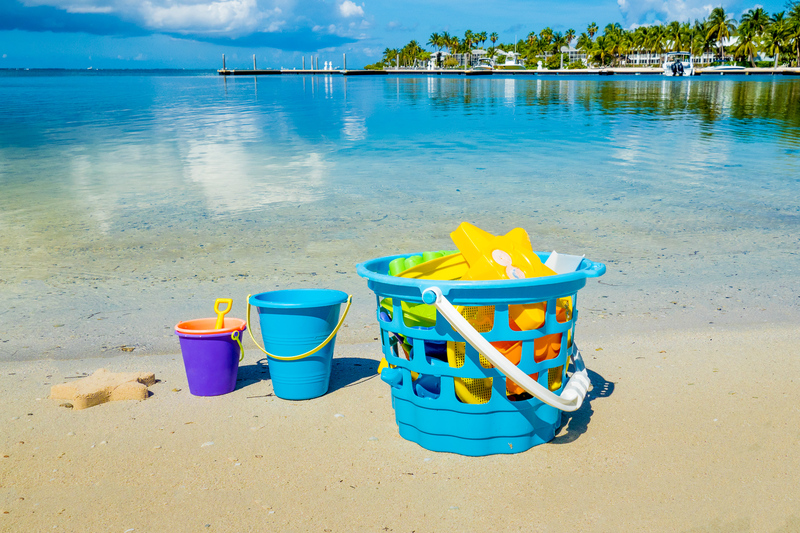 A full range of water activities are available locally for those seeking a little more from their vacation. 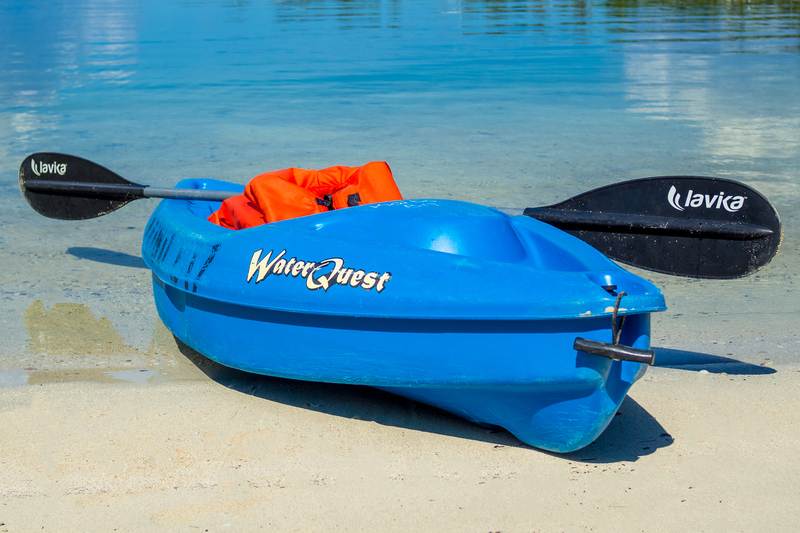 We provide Kayaks for adults and children with your stay. 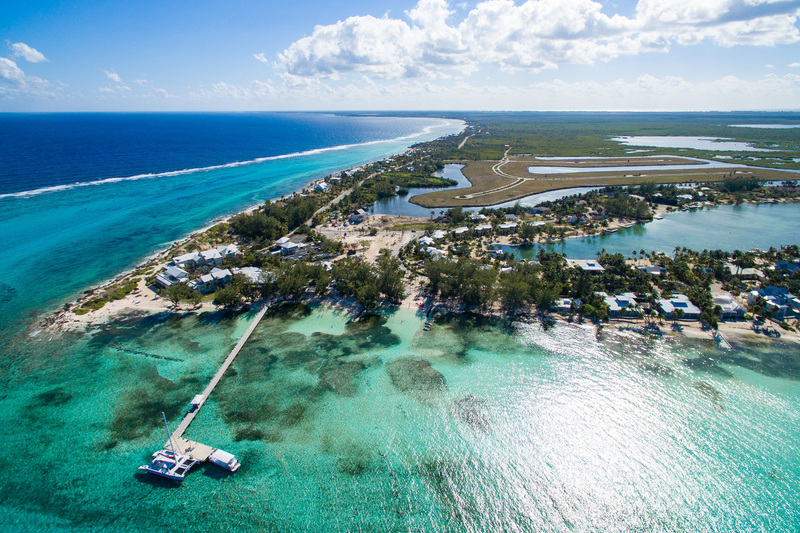 The Cayman Islands are world famous for their first class scuba diving facilities and dive sites and can offer unparalleled reef, wreck and wall diving all within a short boat ride. Few experiences in life match that of swimming with a turtle whilst exploring a subterranean wall that can reach depths of 6000 feet, in water of unbelievable clarity and warmth. The world famous 'Stingray City', the world's best 12 foot dive, is located within North Sound as is the 'Sandbar' where you can come face to face and feed the ever so friendly Southern Stingrays. 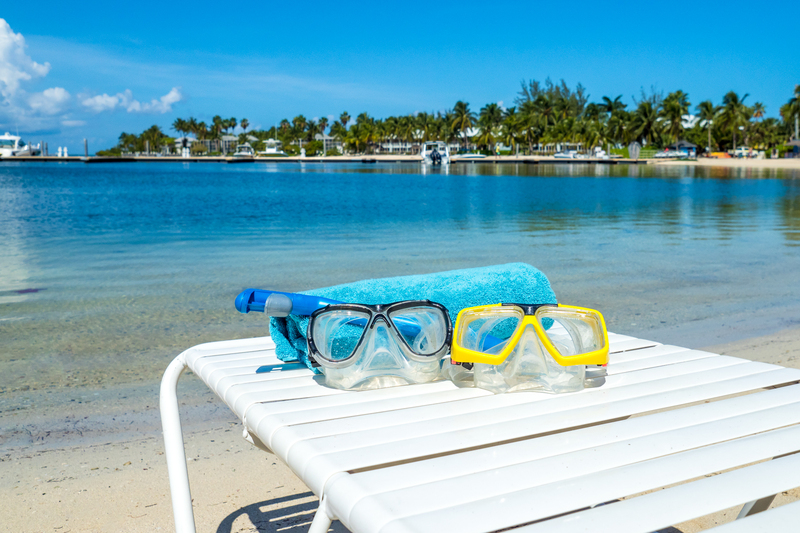 Snorkeling, kayaking (provided), jet ski and motor boat hire, yacht charters, water skiing and much more are also available for the more active among us, but most of all there is the knowledge that if you want to just relax, you can do so in your own corner of paradise. 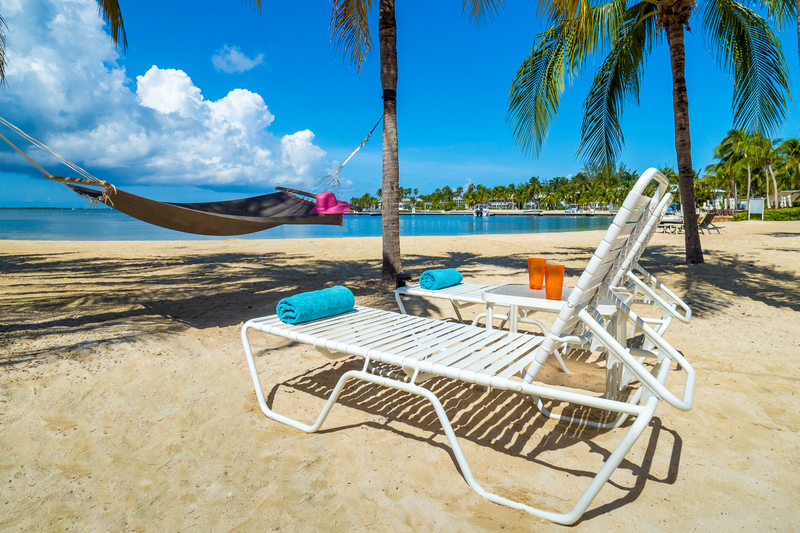 We have taken everything we've learned with our other rental properties and have complied a list of almost all there is to do on the island, our past guest have found this very helpful when making their plans and excursions. 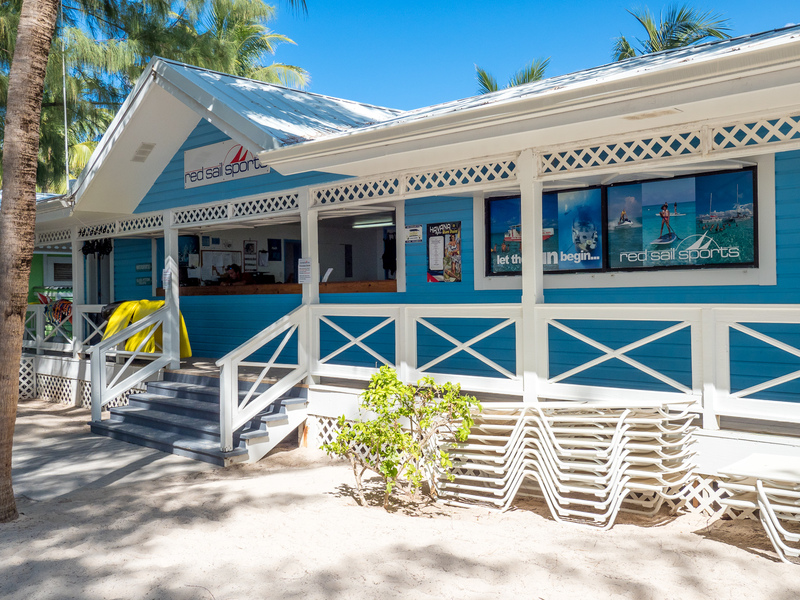 We didn't stop there, we also forged relationships with business owners to help give our guest discounts on everything from snorkeling equipment to water sports activities as well as discounts to rental cars. 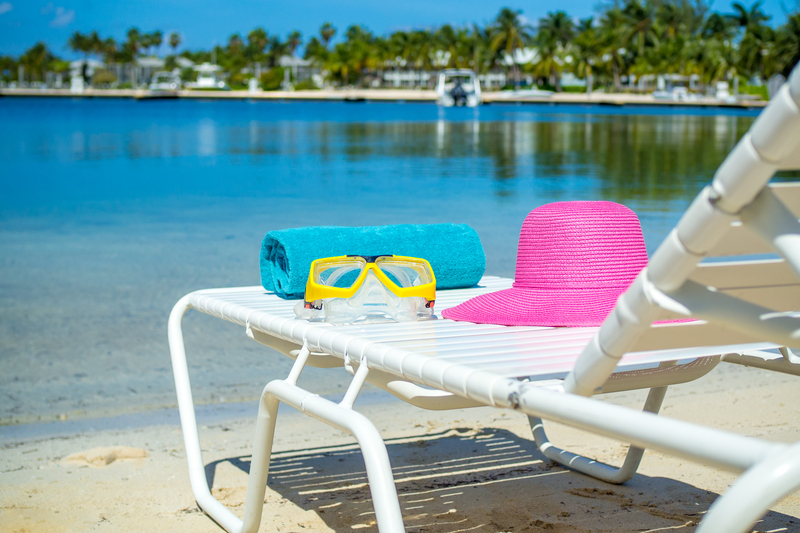 That's right when renting with us we will actually save you and your family money on daily expenses while you're vacationing. 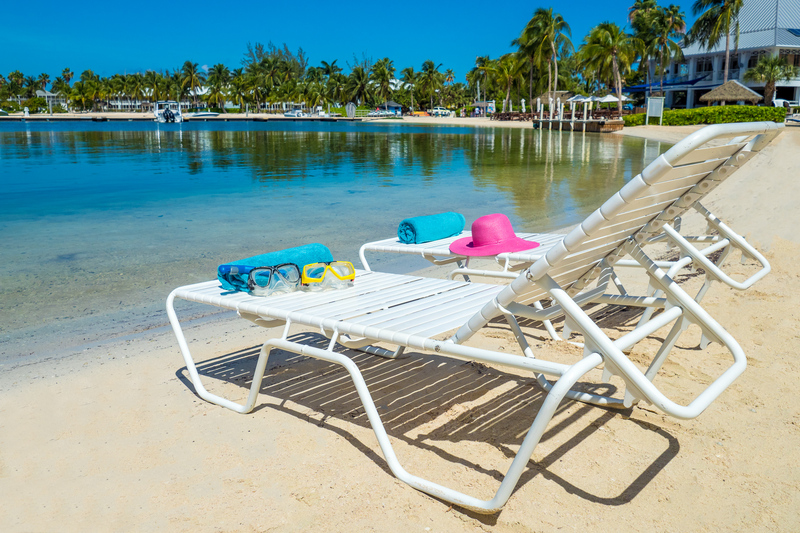 Your property manager will provide you with discount coupons with names and phone numbers to book your excursions and receive valuable discounts that can save you hundreds of dollars. We go the extra mile for our guest and look forward having you stay with us. 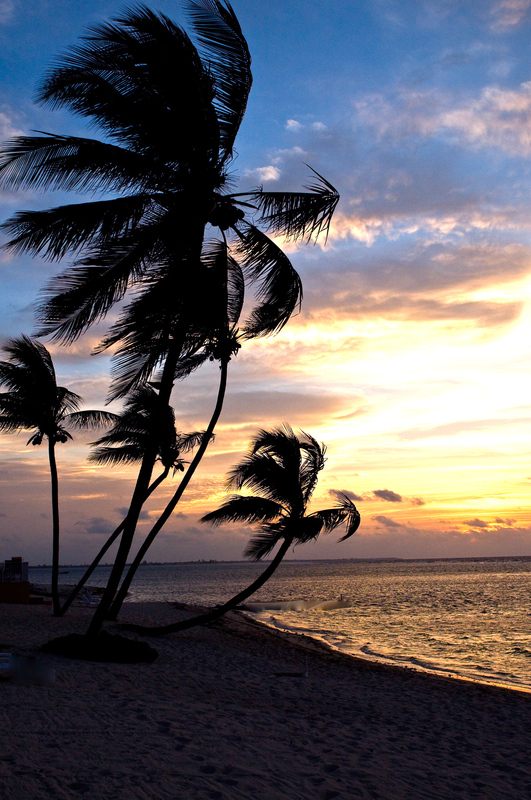 We are confident that you will enjoy Kaibo Sunset and we look forward having you as our guest. 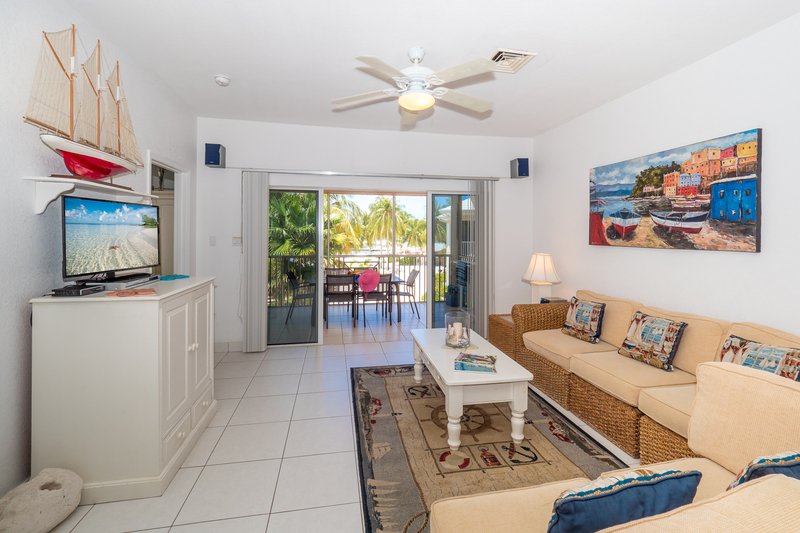 Apartment is superbly situated and stocked with everything you could need. Beds were super comfy. View is amazing. During our stay neither the pool or beach was crowded. 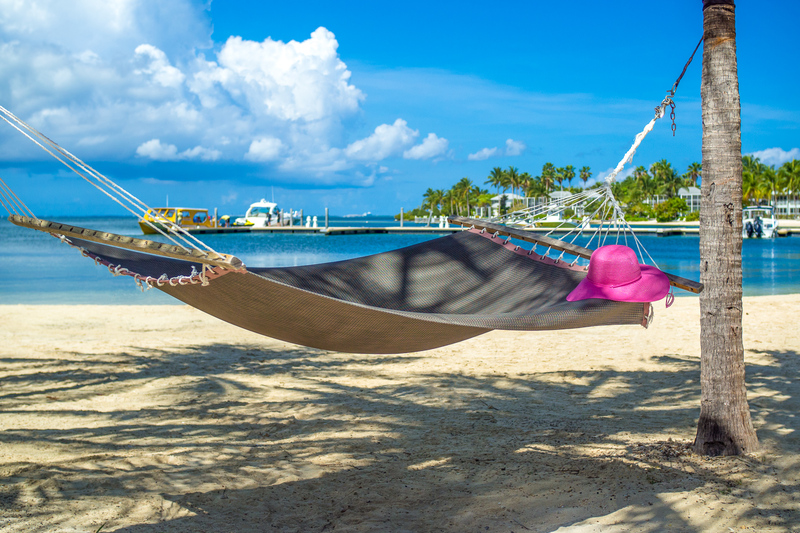 Hammocks were available for every lazy afternoon. Beach is raked every morning and the bay is sheltered so not a single wave. Fantastic if you have young children. We kayaked to starfish point around the bay. This is a postcard picture. Beautiful. The club next door does great food and cocktails and their bbq was tasty. Will certainly be back! We had a wonderful stay at Kaibo and loved the property. We stocked up at Hurley\'s market and cooked nearly every day. 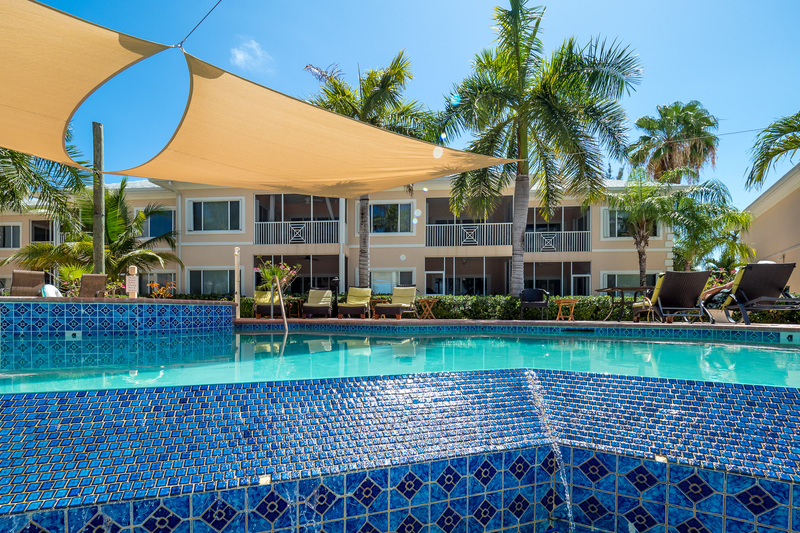 We enjoyed the kayaks, pool, and adventures in and around Rum Point. We took a day and went to Seven Mile Beach (wow!) but wouldn\'t trade the tranquility of the North side for the chaos of that area. The condo was clean, bright, and well equipped. Beds were comfortable and we loved that there were tons of towels, extra bedding, etc. The kitchen was well stocked with basics which we appreciated very much. 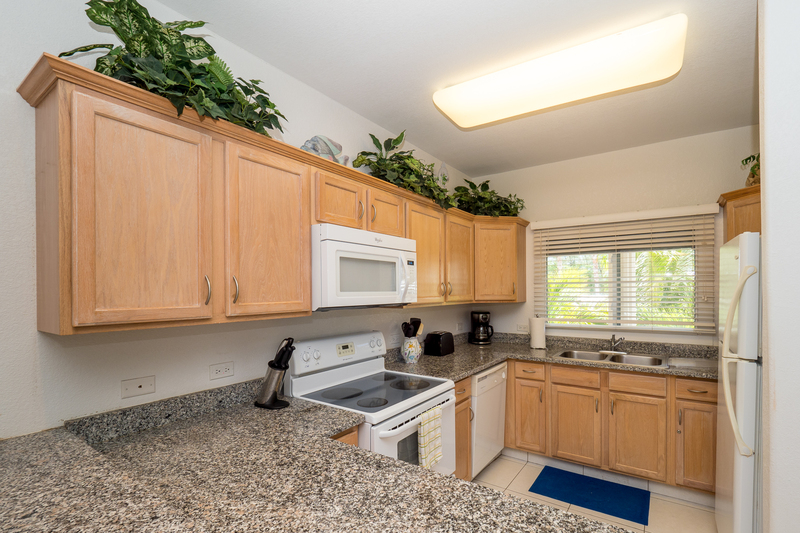 I would agree with the other renters that there could be more pots pans for cooking but other than that, there was everything you could imagine to be comfortable in the unit. Would highly recommend this rental and the area! 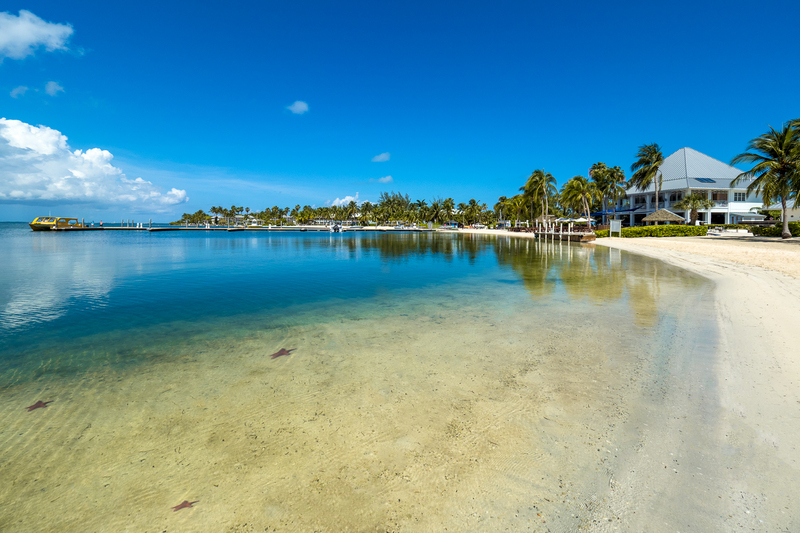 Pristine, away from it all, and relaxing! We stayed at the Kaibo Condos for a week. 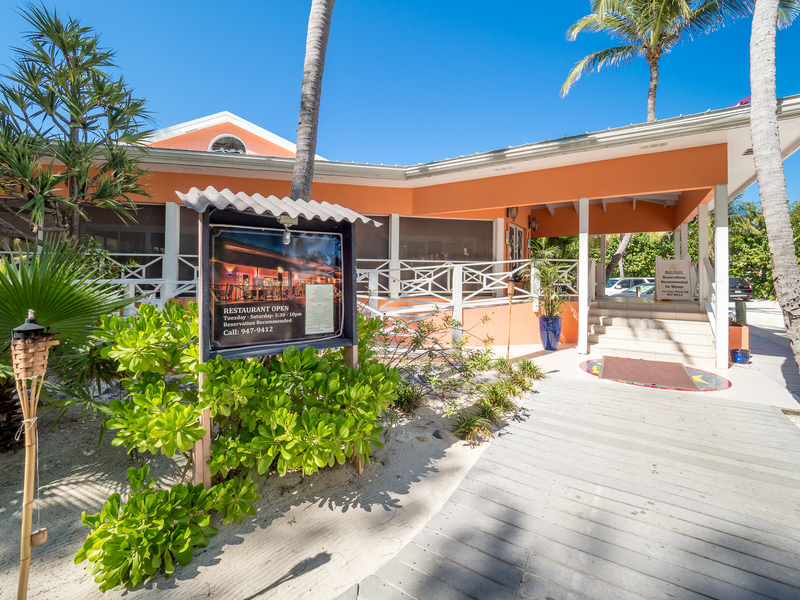 They are located next to the popular Kaibo Restaurant on Rum point but close to Starfish point too! 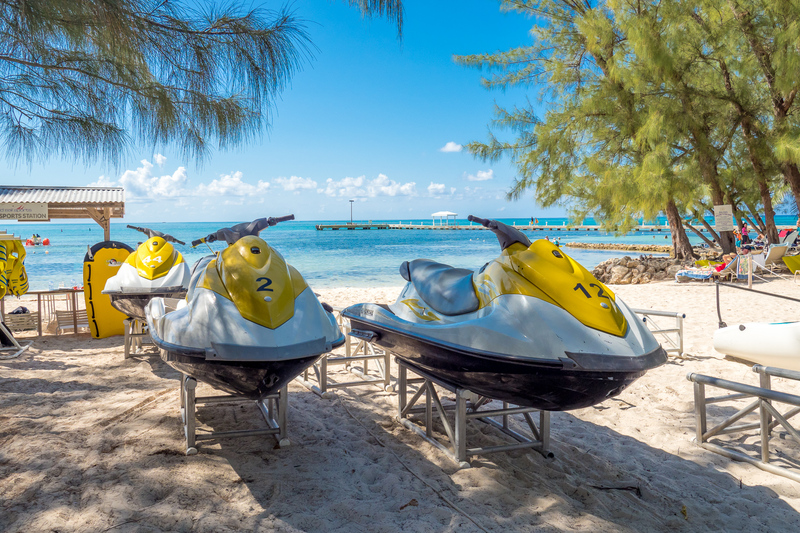 We visited a lot of the attractions - took Captain Marvin\'s boat and snorkel tour Sting Ray City, visited the Turtle Farm, 7 mile Beach, The Botanical Gardens, snorkeled at Cemetery beach, and my husband loved visiting the Cayman Motor museum . We truly enjoyed coming back to our relaxing and peaceful spot! We took the kayaks which were included with our condo out one evening and paddled to Starfish point to see the sunset, which was just beautiful! 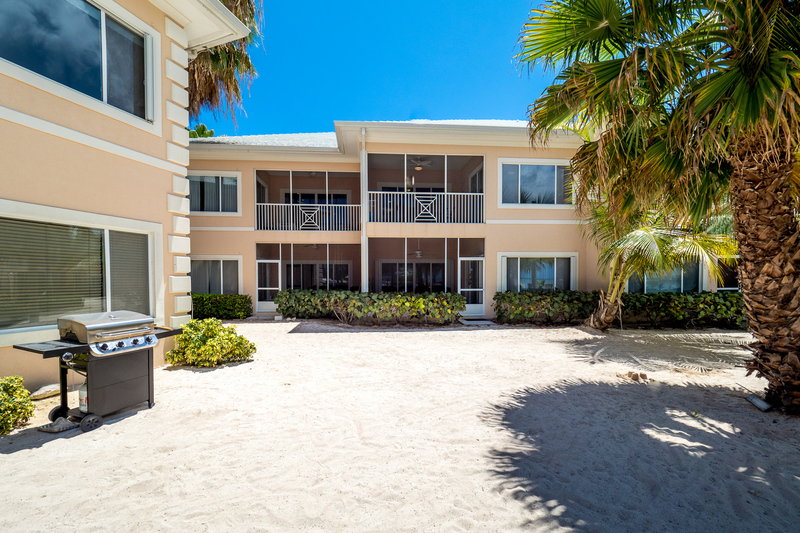 The condo is very comfortable, just beautiful views, comfy beds, all dishes, pots and utensils , even beach towels are supplied. Everything was just perfect! We could eat out or stop at Hurley\'s, our favorite market, for delicious pre- made food! Everyone was very friendly at the Kaibo Condos. I felt very safe and took many walks! We recommend this place and will definitely go back! We loved our stay here and the area in general. 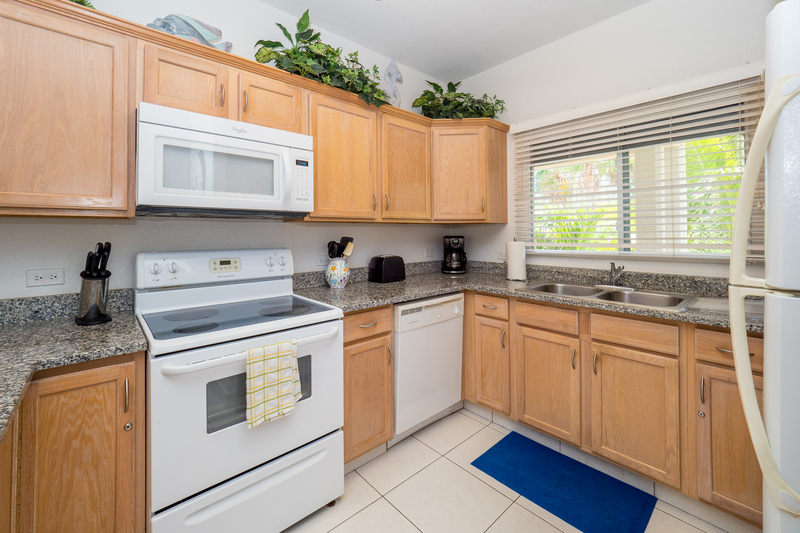 The Condo was well equipped for all our needs as a family of 5 with all kids under 10 and the property managers were quick and responsive to all our needs. Would highly recommend to those with a family wanting to enjoy the quieter side of the island who want a low maintenance vacation. We loved our two week stay at Kaibo. The condo had everything we needed. The pool, hot tub and beach were perfect for the grandkids. Eating at the Yacht Club , on the beach under the stars was so relaxing. Everyone was warm and friendly. I would highly recommend this condo. We had a family trip to be remembered always. Thank you for all of your assistance. Everything went so smoothly. 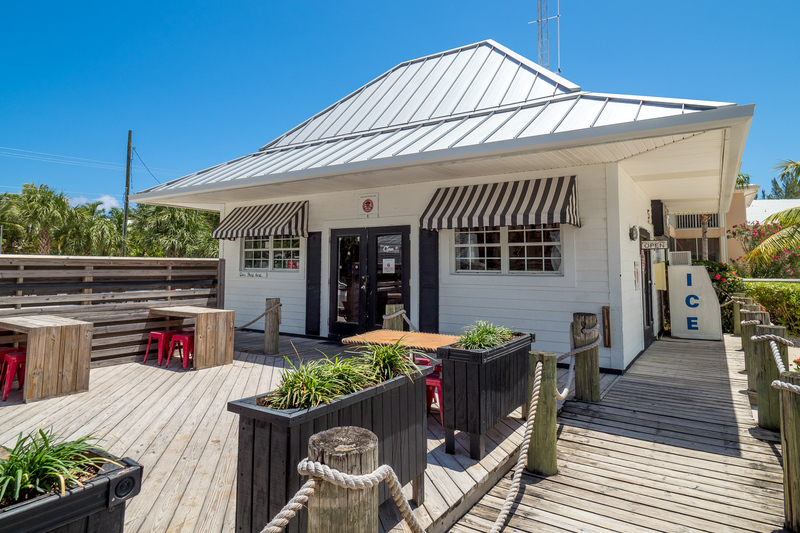 We have stayed on the Island many times and Kaibo is our place of choice. It is off the hustle and bustle of 7 mile beach and we find the quiet beach and beautiful water more relaxing. 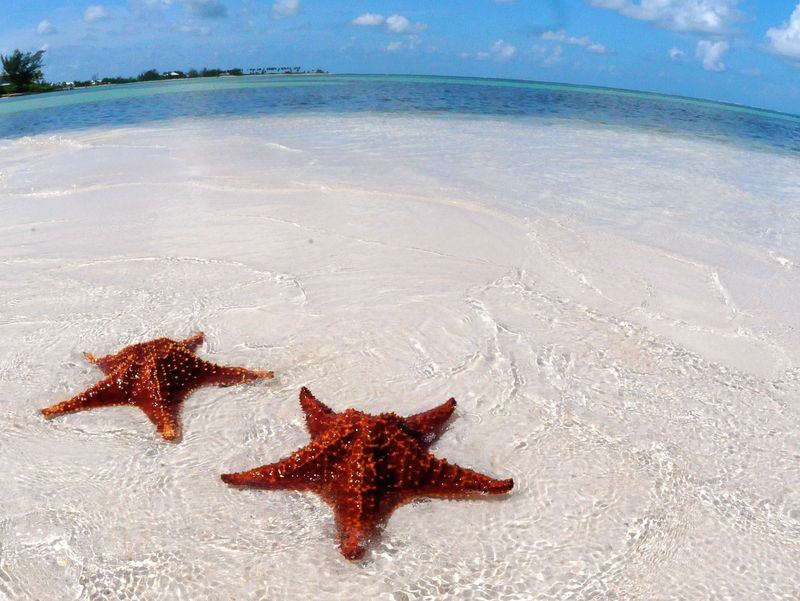 Starfish point is a short walk away. There are miles of beach walking. 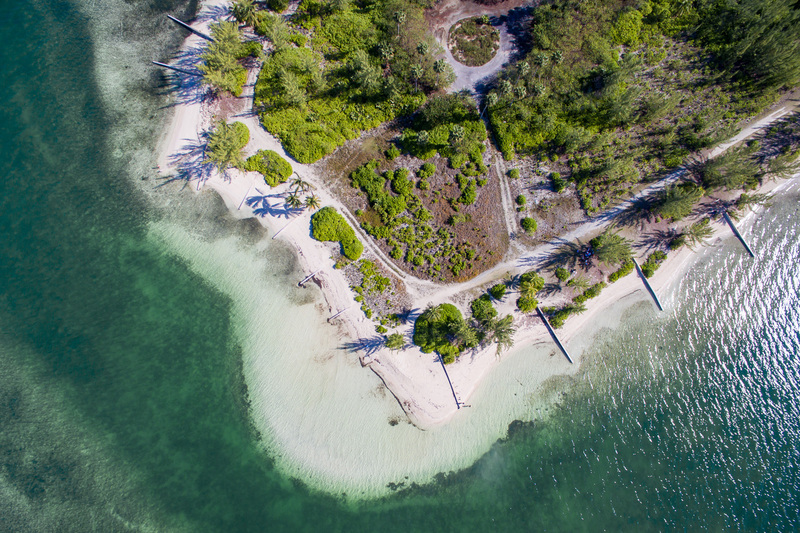 Rum Point is a short walk by road. We saw parrots in the trees. 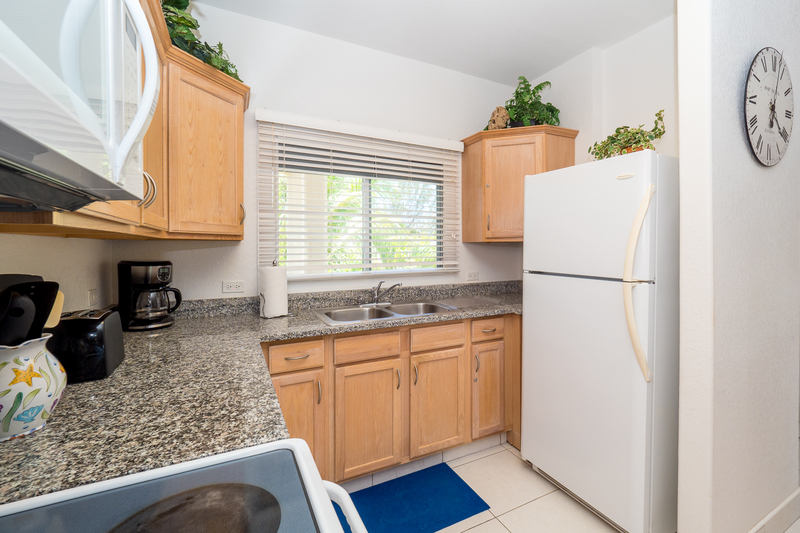 The property itself was well maintained and the owner and property manager were prompt to answer any questions and accommodate us to make our stay the best possible. There were beach sand toys, kayaks, charcoal grill for our use, the TV in the bedroom had all the cable channels which was a nice bonus. Everything we needed was provided. Beautiful property. The cove was great for snorkelling and very close to starfish point. peaceful. Peaceful and relaxing place. 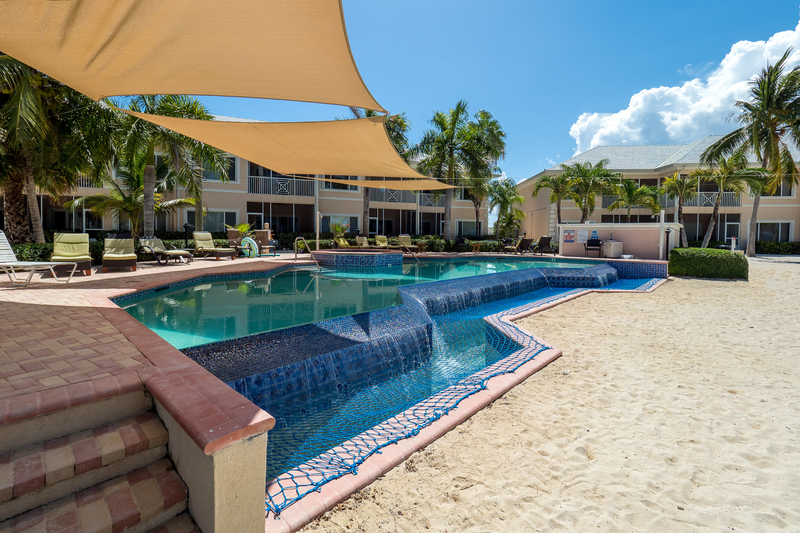 Grounds kept well including pool and beach area. Condo was spacious and kitchen well stocked with all the things we needed to cook. Loved the kayaks the owner made available! Overall great place for those who want to unwind away from the hustle and bustle. We had such a wonderful time on the island. The view from the balcony of Kaibo Sunset was just breathtaking and a vision to wake up to. The beds were so comfortable and the condo was clean was beautifully decorated. 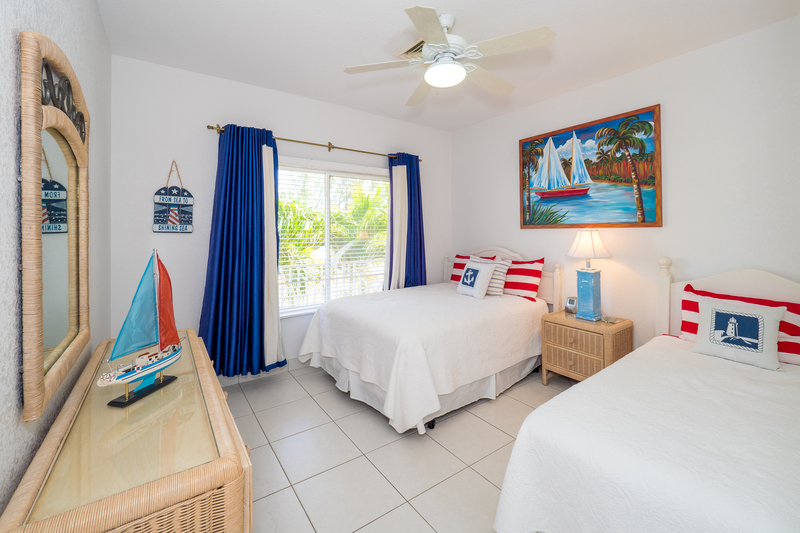 It’s located just across the way from Rum Pointe and had everything we needed with the fully stocked kitchen, large beach and pool towels and luxurious linens. It was just perfect. We were able to do something new every day. We worked with Red Sails to coordinate some of our activities. We rode the glass bottom boat out to Stingray City and snorkeled with the sting rays where we actually got to hold them. 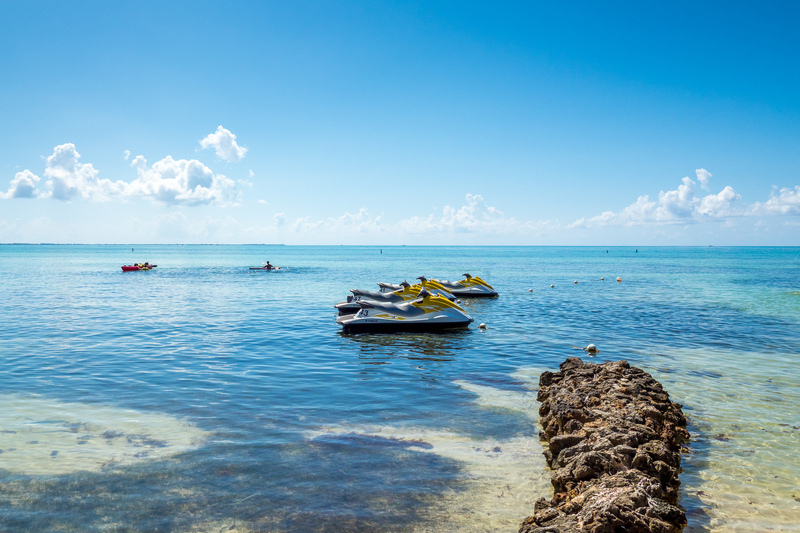 We went on a jet-ski tour which included a snorkeling excursion and we saw amazing fish and coral. We went parasailing near Calico Jacks where we were able to see clear across the island. The view was so beautiful it nearly brought me to tears. We had some fun paddle boarding and hanging out at Calico Jacks, as well. We completed our scuba certifications before the trip so we were able to dive Eden Rock and Devil’s Grotto. There were thousands of silversides in and around the caves along with so many beautiful fish and coral. It was an unforgettable experience. We had family staying at Island Sunset (441435) so we were lucky enough to be there to witness the bioluminescence phenomenon in the bay. We took the kayaks out in the moonlight to see the water glow where the paddles disturbed the water…it was magical! We went on a deep sea fishing trip where my son reeled in his first fish…It was a huge tuna. Later we rode the banana boat at Rum Pointe and they succeeded in knocking us all off. The night before we left we attended a luau at the Kaibo Yacht Club. They had a live band and the food was wonderful. The only thing we didn’t enjoy about the entire vacation was the walk across the tarmac to get back on the plane to come home. 🙂 With all that we did, there is still so much to see and do so we are looking forward to going back as soon as we can. 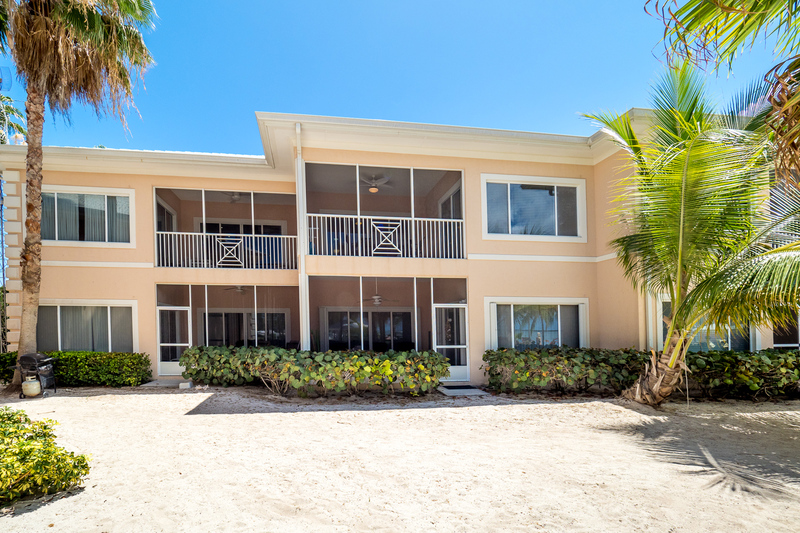 A beautiful condo on the less busy part of the island. The condo had everything you need plus 2 kayaks and the ability to call the US for free which we did for Mother's Day. The bed was comfy and there were plenty of towels. 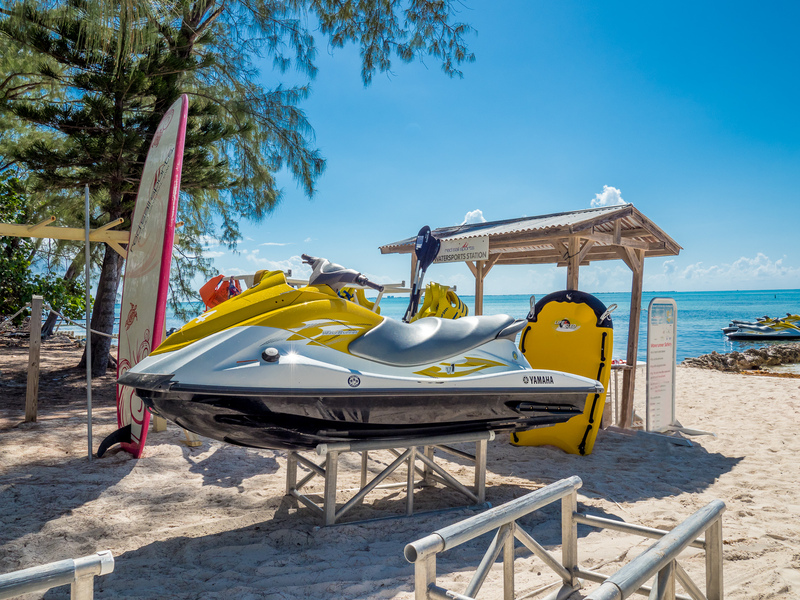 You will need a car to get around especially if you want to visit 7 Mile Beach and other tourist destinations but there is so much to do and see in the Cayman Kai area. We loved eating a romantic dinner at Kaibo Upstairs just a short walk away. 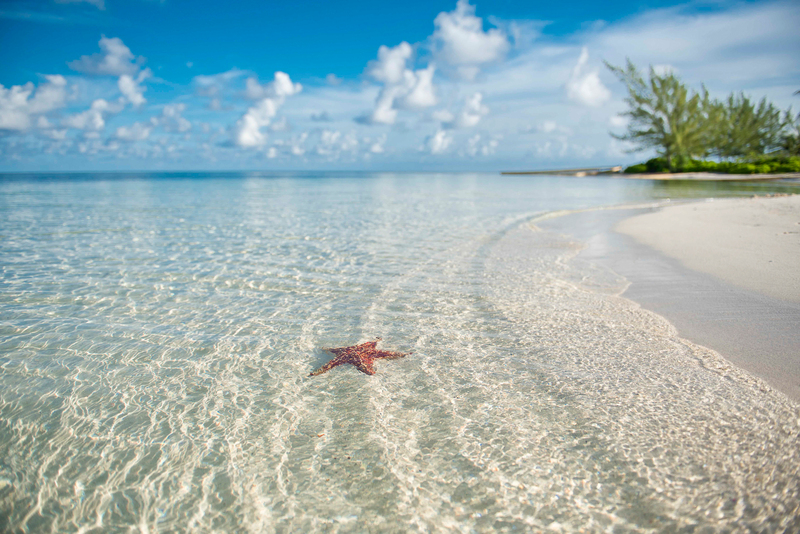 Star point beach is a must see. Snorkeling and relaxing at Rum Point was great. We always enjoyed coming back "home" after a fun filled day! 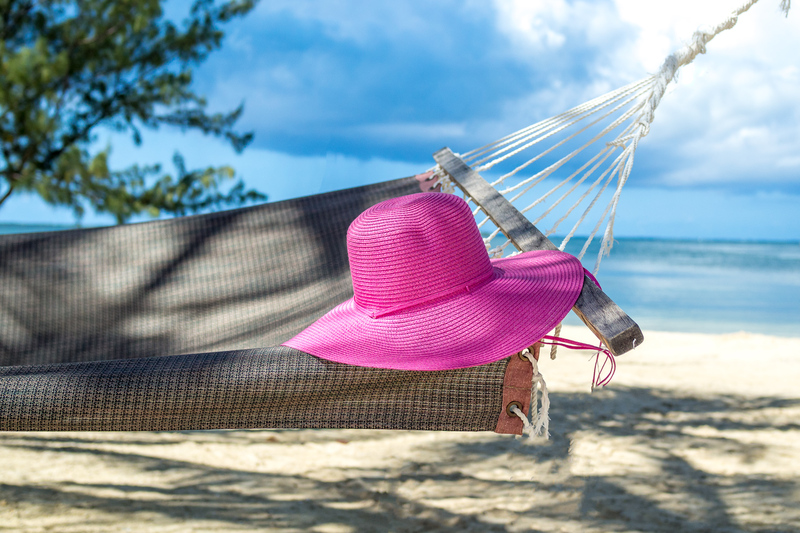 We had just a beautiful and relaxing vacation in Cayman Kai. The condo was lovely and despite a problem when we arrived (the previous renter did not leave on time), we would love to return again. The condo was clean and the management was helpful. Everything in the description and the reviews were very accurate. 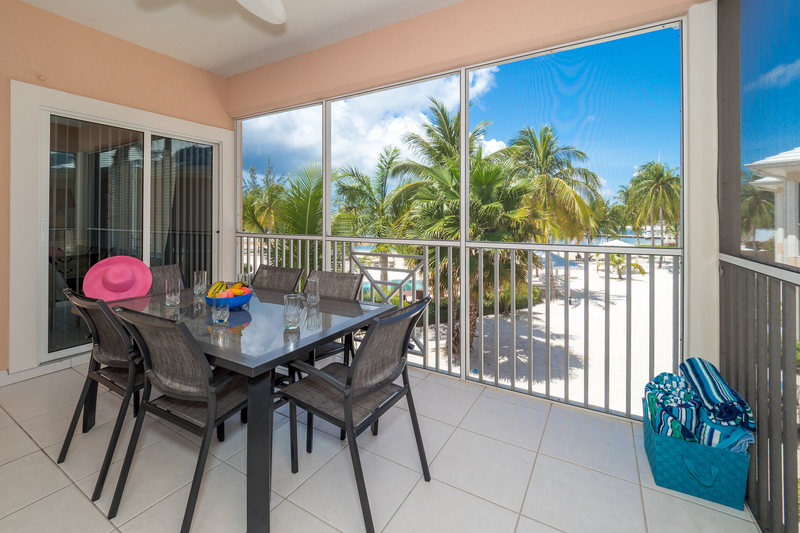 The beach and pool overlook from the lanai made all our friends and family jealous of the pictures. There were plenty of activities close by (wake up early to find the best marine life near Kaibo) and we enjoyed driving around the island exploring. (TIP: plan car insurance before arriving.) 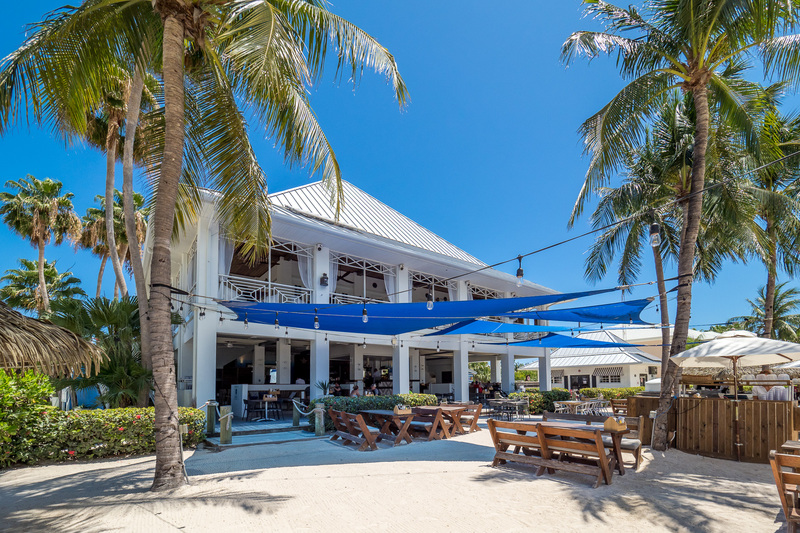 Rum Point was great for beach side eating. The daily specials were delicious and don't forget a smoothie too. 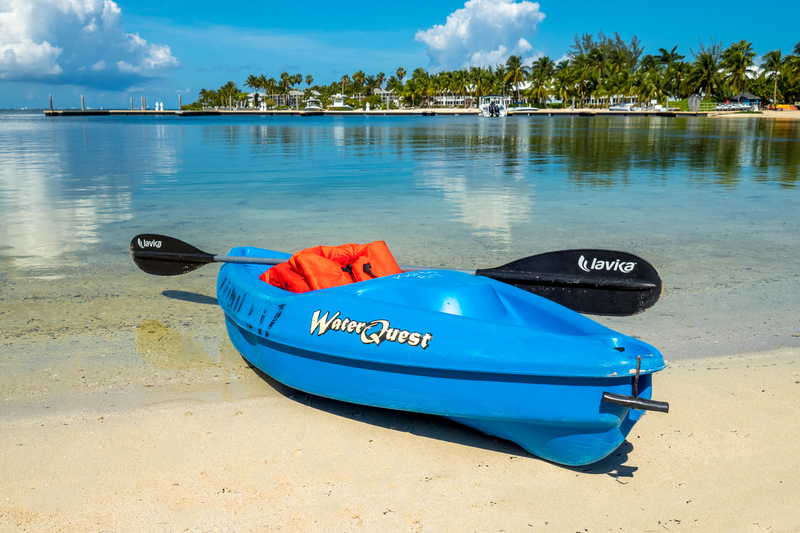 We would recommend Cayman Kayaks and Tours Cayman for the adventures they offer. The BEST thing about GCI were the pleasant and friendly people. 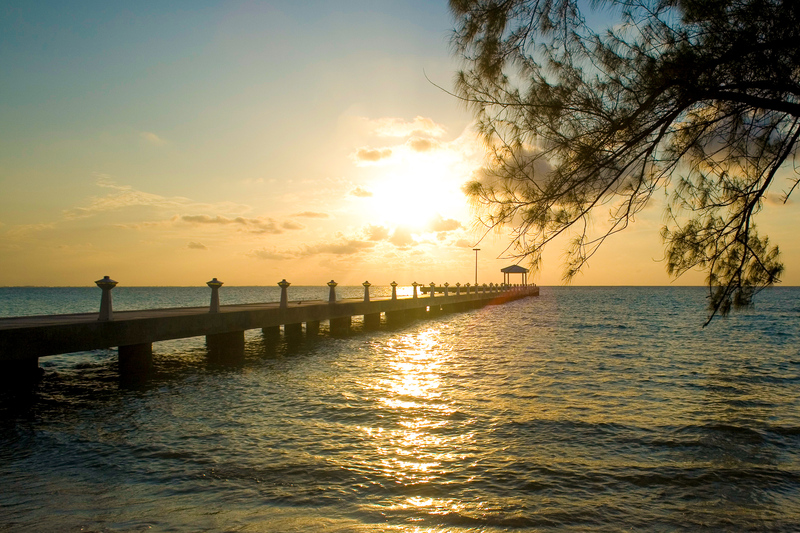 Kaibo Sunset was a wonderful place to call home while in Grand Cayman. 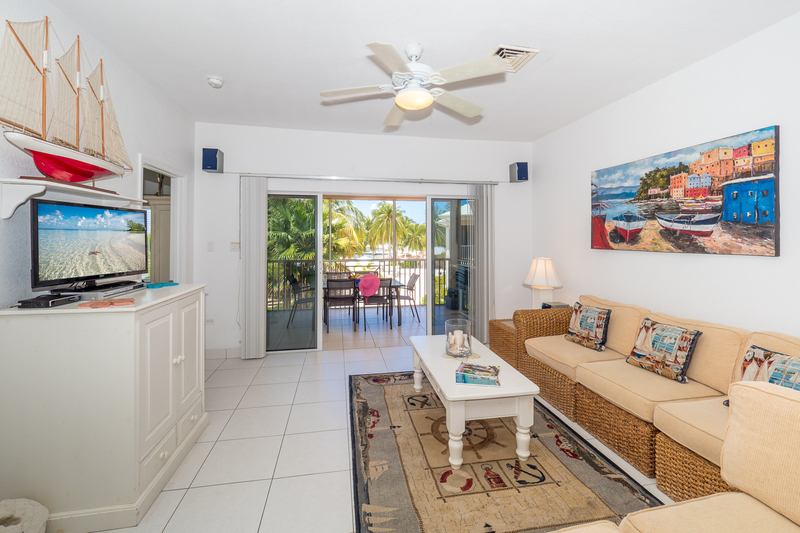 We were very impressed by how clean and well equipped the condo was and equally impressed with its quiet, beautiful location. The manager, even called the first day to make sure all was well. 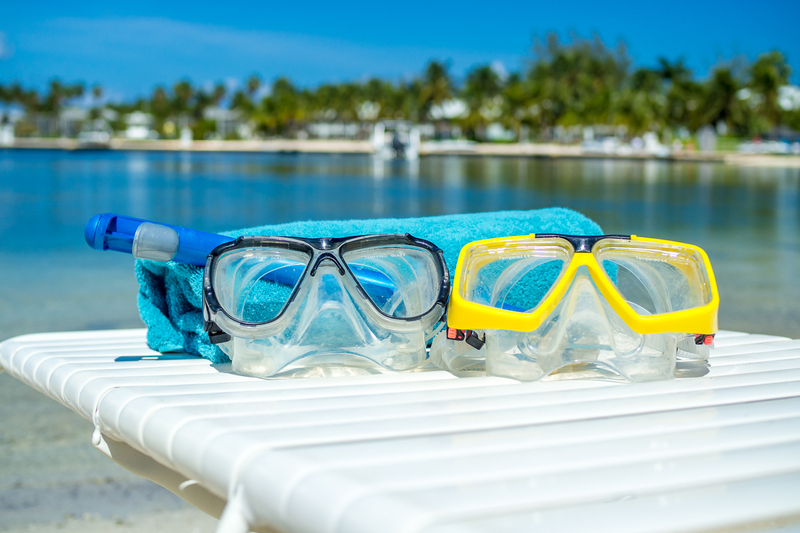 We spent a lot of time snorkeling, exploring, and sunbathing (Rum Point, Coral Gardens/Stingray City, Smith's Cove etc.). A highlight for our boys was finding numerous "dinner plate size" starfish and hermit crabs off the Ivory Kai Point, just a short walk down the street. Upon our return at the end of the day, a dip in the infinity pool was so refreshing and then off to the Kaibo Club for a great beachside dinner. The Tuesday night BBQ was delicious! 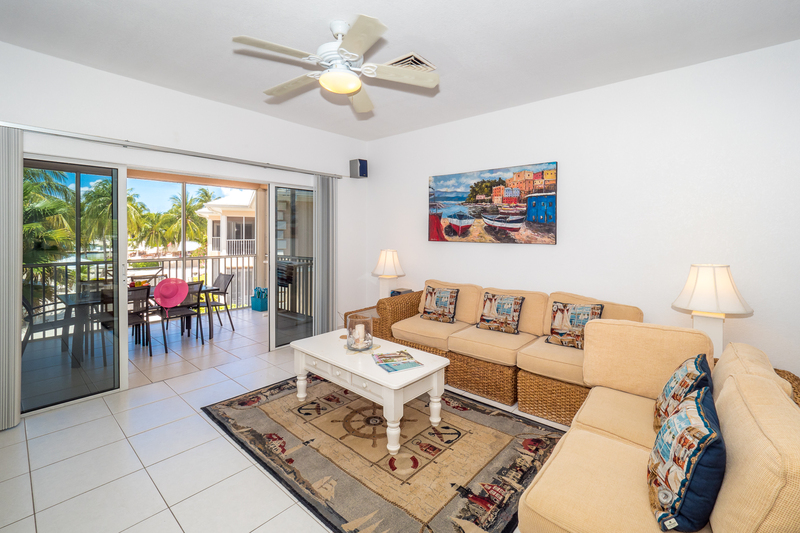 Renting was a pleasure and the condo far exceeded our expectations. 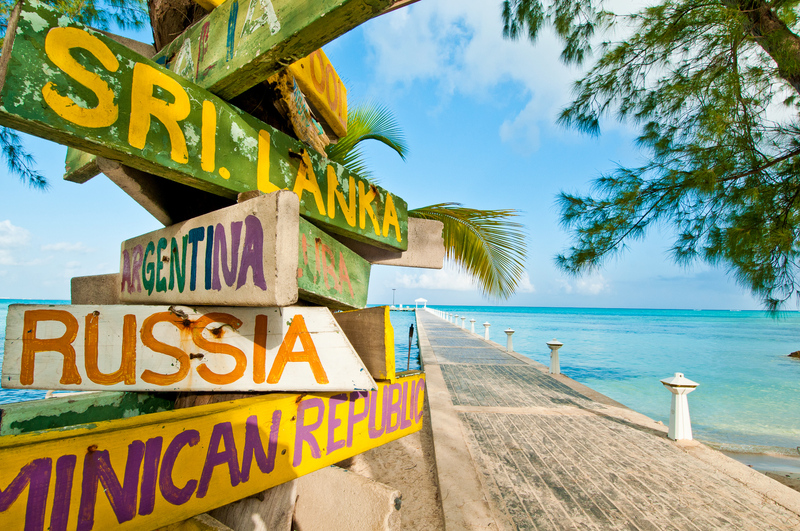 We can't wait to return! 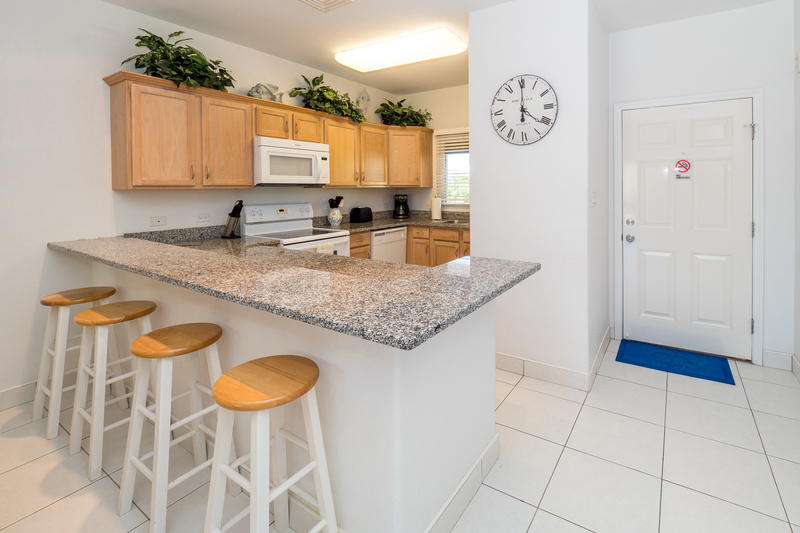 Our condo was very clean and reasonably priced. The quoted price was also the true price, no hidden fees. If one is looking for peace and quiet, I highly recommend this condo and area. 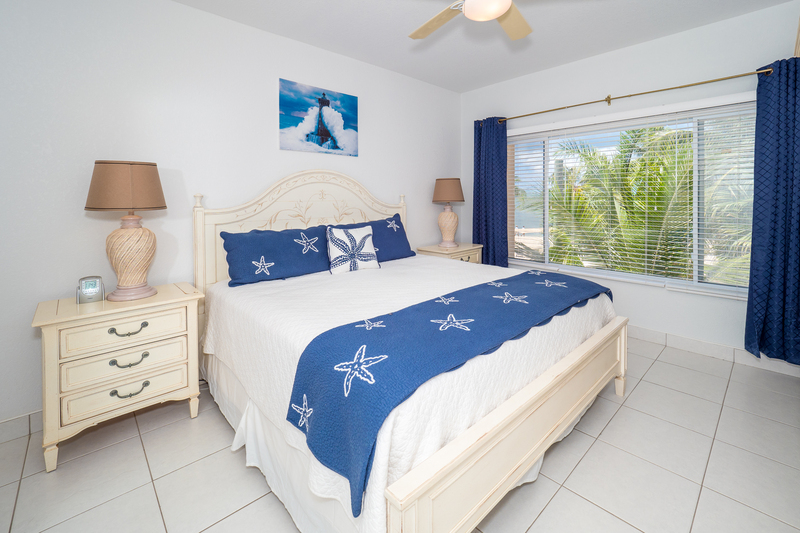 If you want to be closer to most attractions then look for a place closer to seven mile beach. Overall, we were very pleased with the unit and would recommend it to our friends. We were thrilled to be at this stunning property. The accommodations are tastefully decorated. It is clean and well kept. We used the BBQ several nights and enjoyed delicious meals. 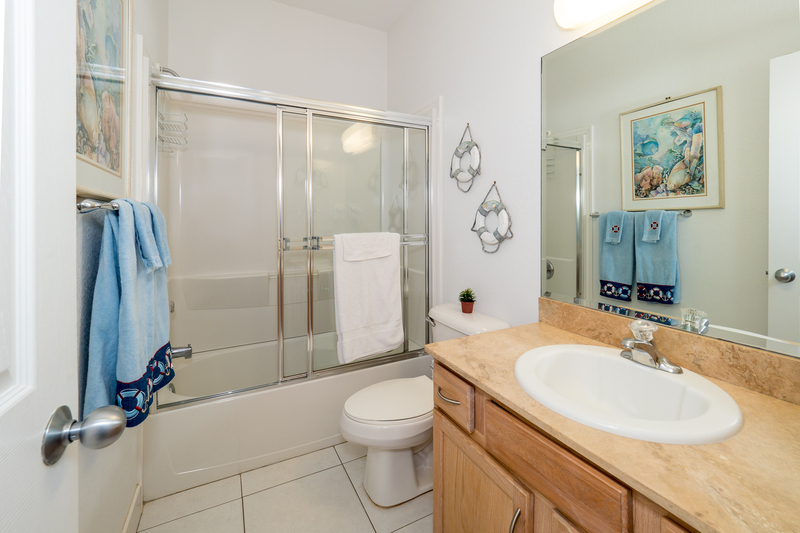 The 2 bedrooms and 2 baths were perfect for the 4 of us! Literally, it is a 90 second walk to the water! 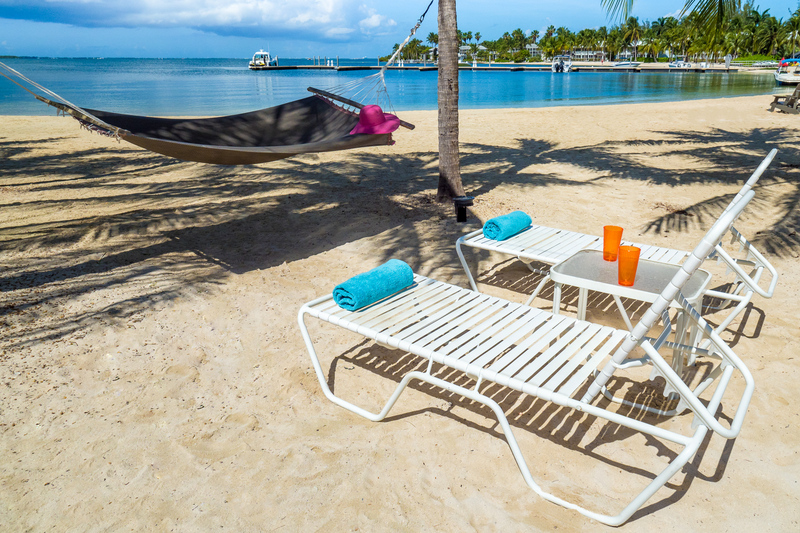 We sat by the pool, we lay in hammocks, and enjoyed downtime. When we were ready for adventure we took the kayaks out (which we used daily!). Stunning red and orange starfish laced our journey to starfish point. "Stinky", the dolphin, greeted us one day by leaping sky high just feet in front of our kayaks! The snorkeling and catamaran sail will never be forgotten. Colorful fish, Sophie - the sting ray, the 4 foot green eel, as well as "Sting Ray City" are forever imprinted in our minds as highlights. 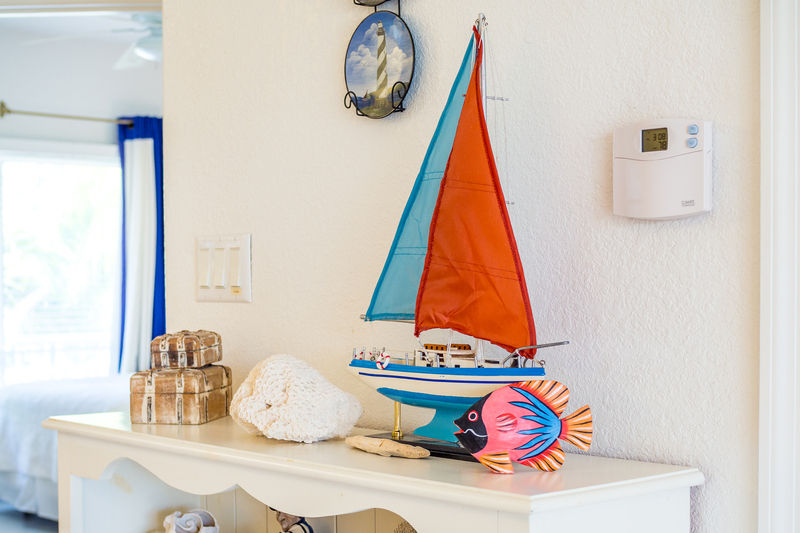 We traveled to Seven Mile Beach one day and couldn't wait to get back to our own peaceful little home on the beach. D This was the most relaxing vacation I have ever taken. And I must mention how personable and helpful Christopher is! I can't wait to go again! Our family enjoyed a wonderful vacation at Kaibo Sunset B17. Even though late July was a little warm for my taste (mid 90's), the view was beautiful and the condo value was fantastic. 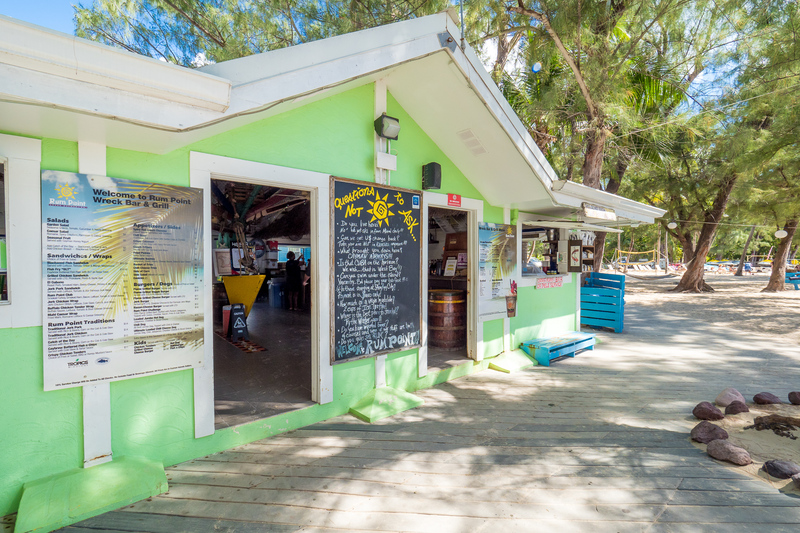 We enjoyed the relaxed atmosphere of Rum Point and plan to come back. Fantastic Stay, Booking Again Now! 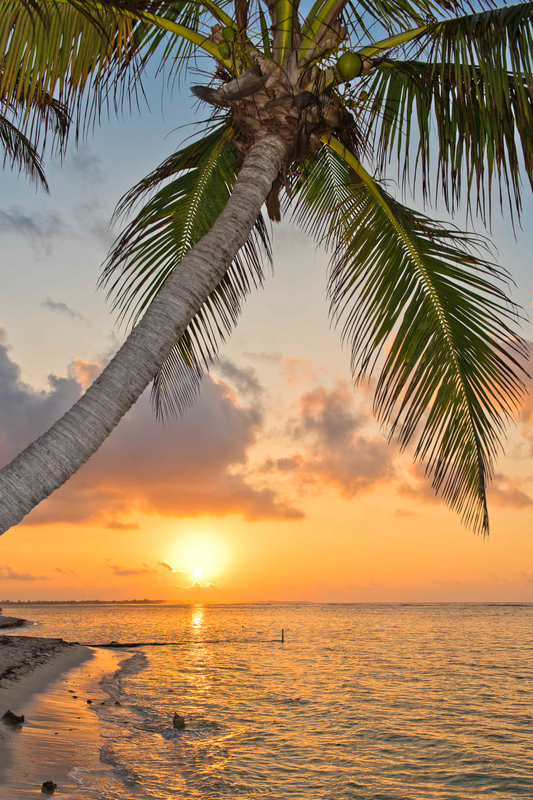 Usually when I return home to Steamboat Springs, Colorado I am ready to be home; however after this vacation all I want to do is return to the Cayman Islands. Our family of four had the best vacation at the Kaibo Sunset Condominiums. 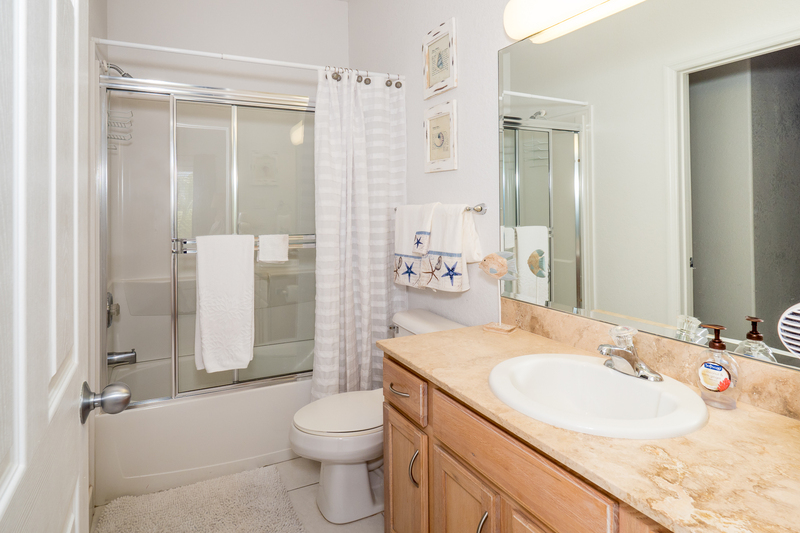 The condo was very clean and had everything you could want. The beds were comfortable and the decor matched the beautiful location perfectly. The condo was very white which was very soothing. The kitchen was well appointed and the grill very useful. 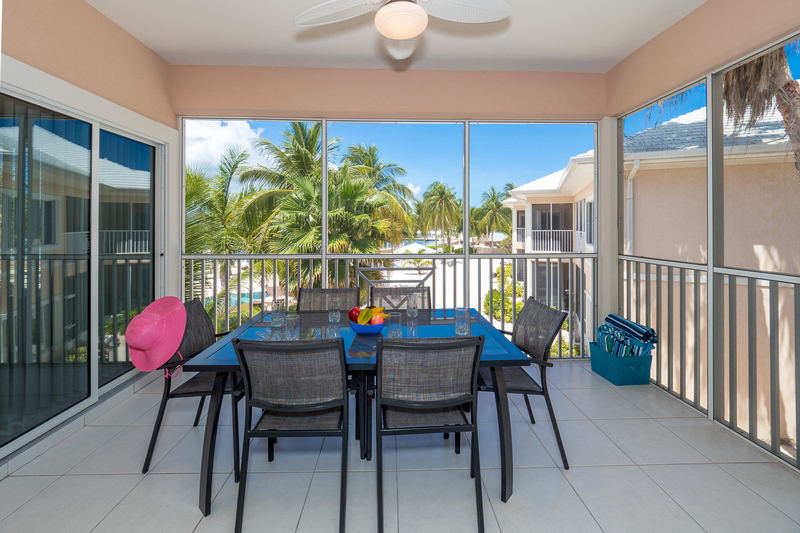 We ate dinner everynight on the lanai. The entire complex was clean and well kept. The pool was not only the perfect temperature but only 4ft deep which was great for our two young children. 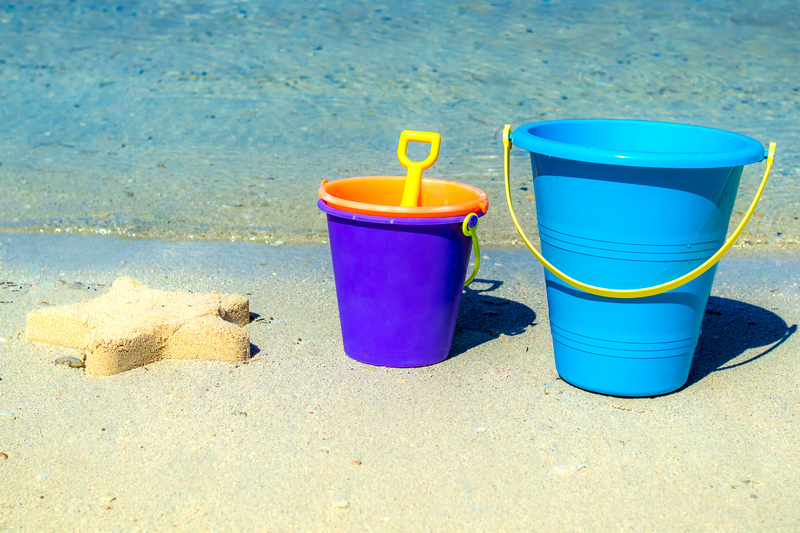 The beach had lots of shells and great sand for building sandcastles. Though the snorkeling was not great right off the beach at the condo the world class snorkeling at Rum Point was super close by. We also loved having the Kaibo Resturant so close, they make great drinks and we meet lots of nice people there. We went to their Tuesday BBQ and had a great time dancing on the beach. Also we went with Fat Fish Adventures on their Stingray City and snorkeling tour. This was a great tour, they picked up right at the dock. 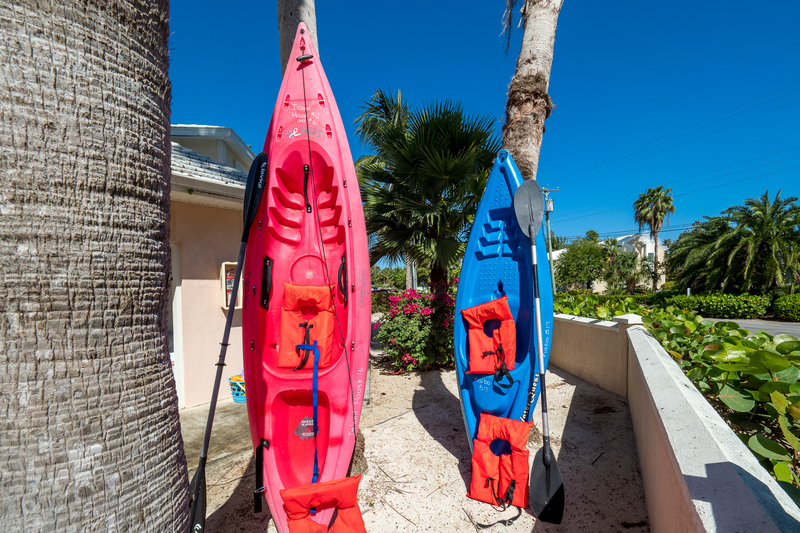 The kayaks provided at the condo also provided fun adventure and we went to Starfish Point several times. Starfish Point was great for exploring, not only did we see starfish but a seahorse, hermit crabs and some fish too. The owners and management company were also nice to work with and very efficient. They were kind enough to drop off sand toys for the kids and promptly responded to all my quesitons. I can't wait to return and was hesistant to write this becuause I do not want the great condo to be full all time. My wife and I stayed at Kaibo Sunset Beach for 11 beautiful days. 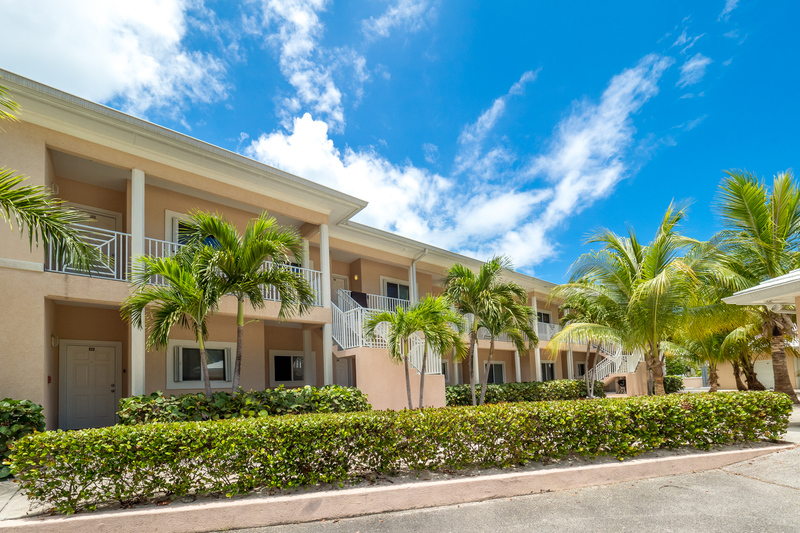 Located less than an hour from the George Town International airport, on Cayman Kai, North shore, it was the perfect location for us. 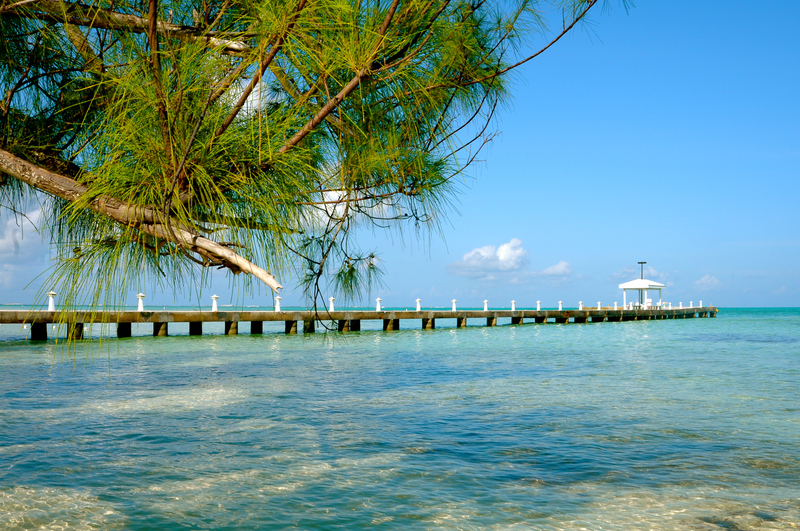 Our goal was to snorkel, enjoy the beautiful Cayman countryside and relax. Our condo was very comfortably furnished. It had 2 bedrooms and 2 baths. The kitchen was fully equipped, including a few basic spices and dish soap. There was a washer and dyer and laundry soap, too. 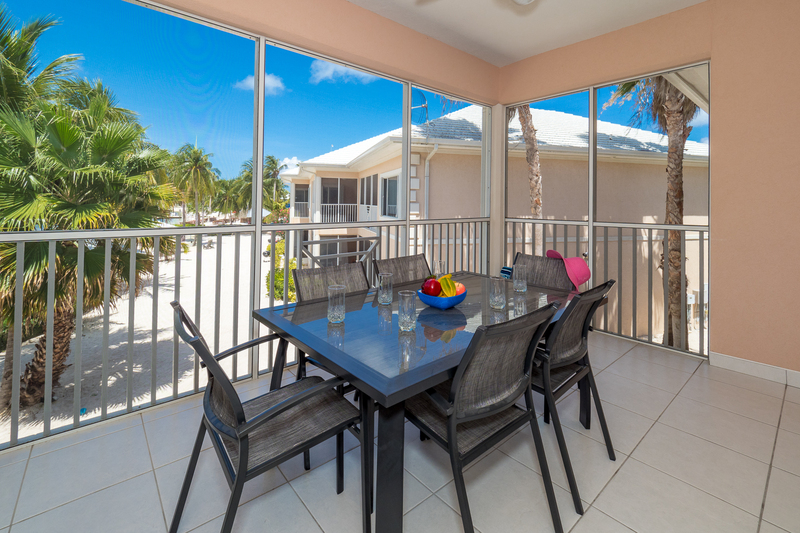 Around the condo, our greatest enjoyment came from the time we sat on the balcony overlooking the infinity pool and the beautiful bay while eating breakfast or sipping a glass of wine with our dinner. We also enjoyed early evening walks to nearby beaches and late night swims under the star-filled sky. 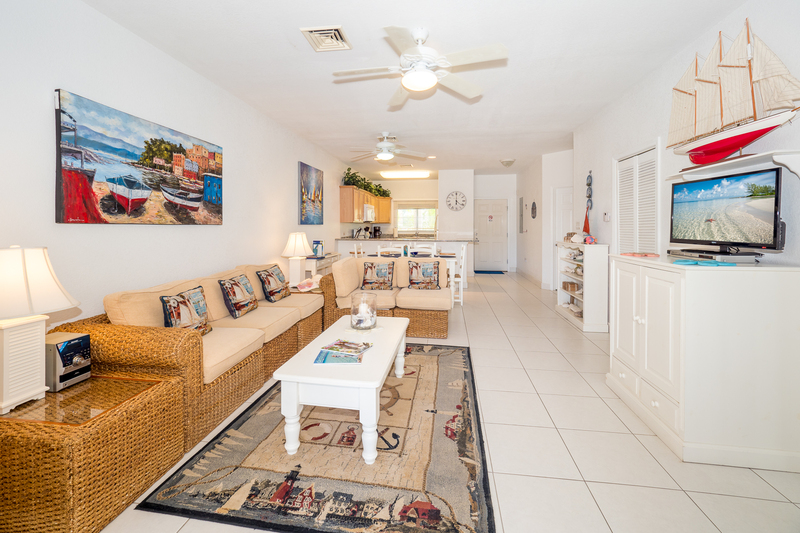 The onsite property manager was very friendly and helpful, well beyond what you would expect. We were close to the Botanical Park, Mastic Trail and many beautify beaches. 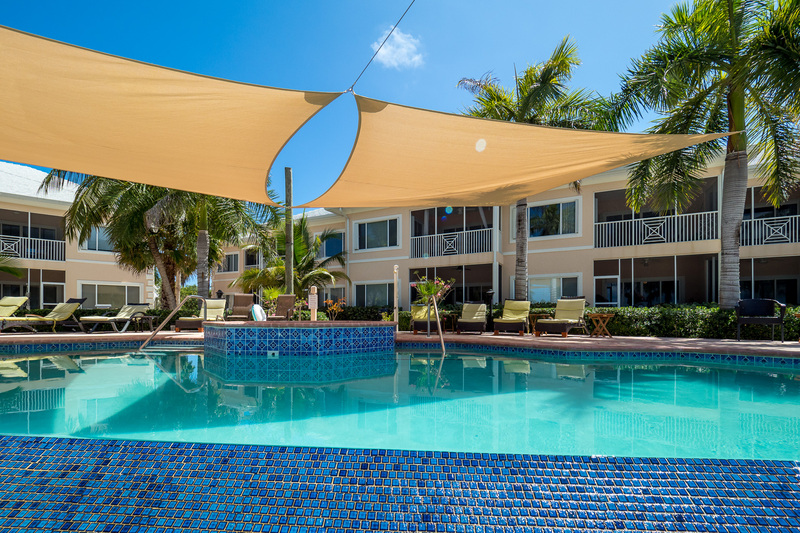 Kaibo Sunset Beach Condos is a great place for friends, couples and families with young children to stay. You will need a car. 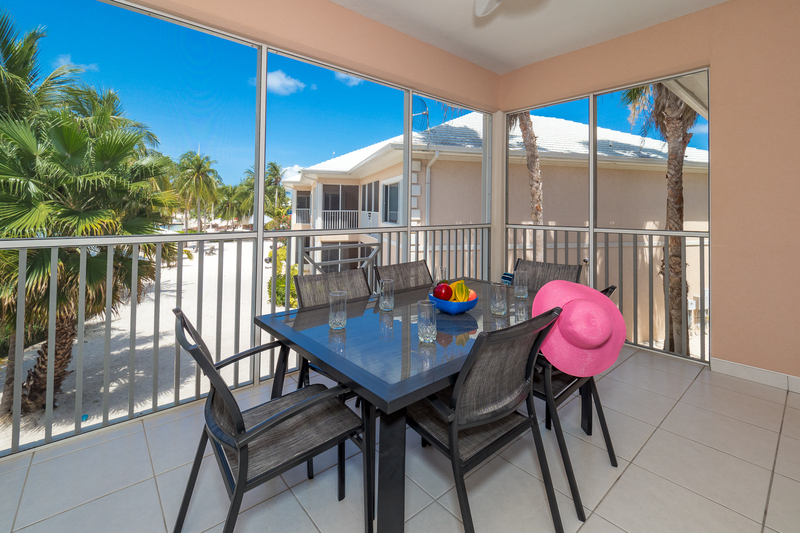 I've stayed on the Rum Point/Cayman Kai side of the island over a dozen times and this location and condo can be found at the top of my list. 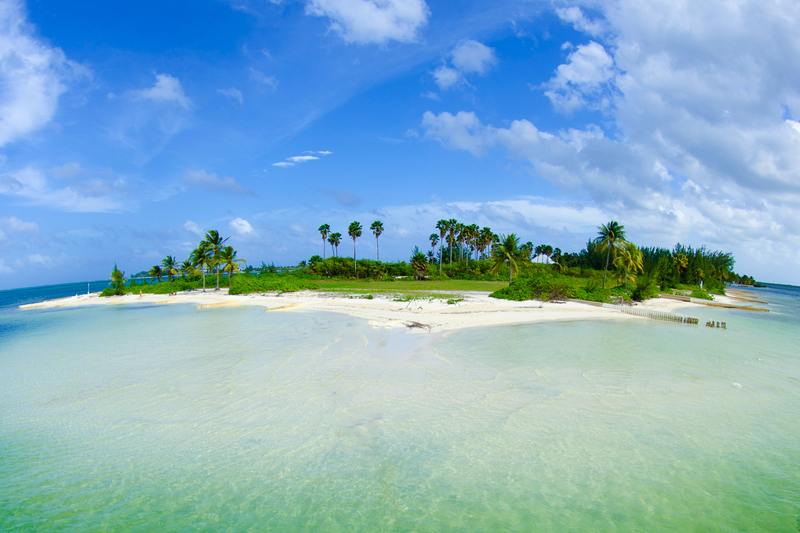 Having the kayaks was a great bonus to take to Starfish Beach and Rum Point. We plan to come back soon. This was a perfect get away location. The Condo was clean and well kept it felt like home from the moment we got there. We spent 9 nights, enjoyed all that the Island had to offer. 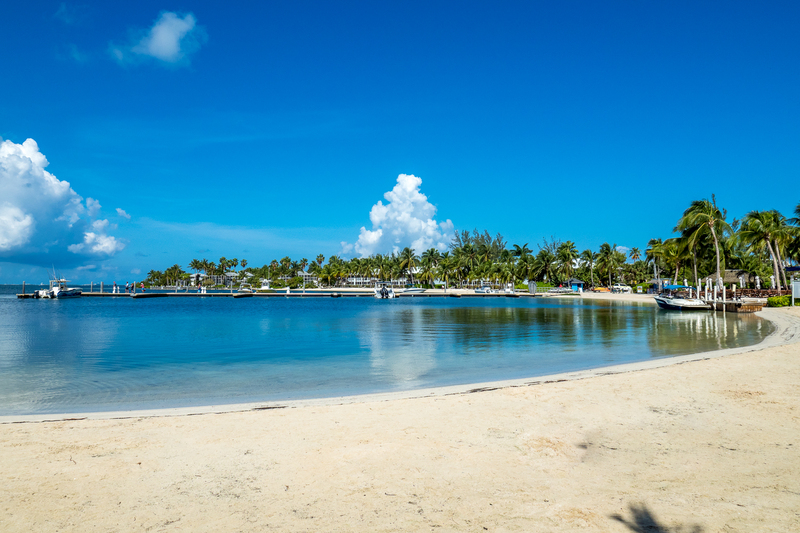 We very much enjoyed the fact that we were away from the hustle and bustle of George Town and yet close enough to jump in the car and enjoy the restaurants and beaches ( 7 Mile) that the island had to offer. 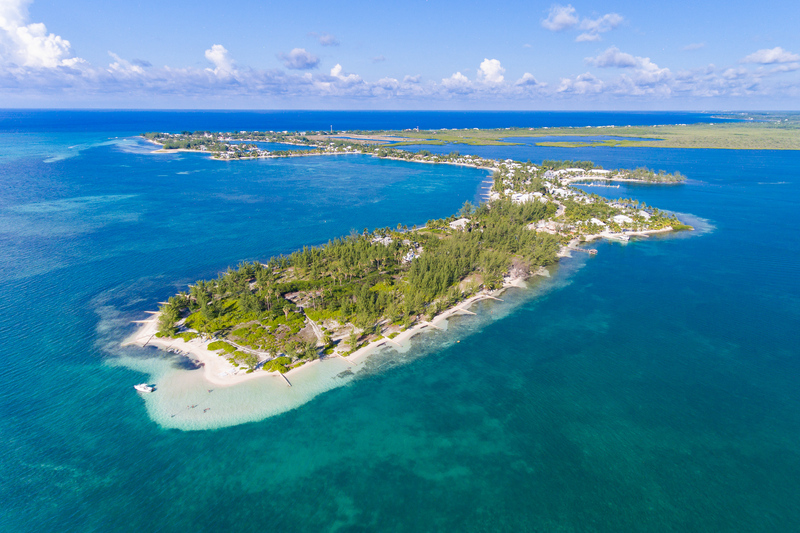 Rum Point was great, Star Fish Beach walking distance from the Condo was outstanding and we of course found plenty of snorkeling spots around the area. Thanks to the owners for providing all of the information on things to do in the area it was very helpful. My family looks forward to our next trip back and I highly recommend Kabio Sunset for couples that want to get away or for some great family fun. What can I say... this place is paradise! 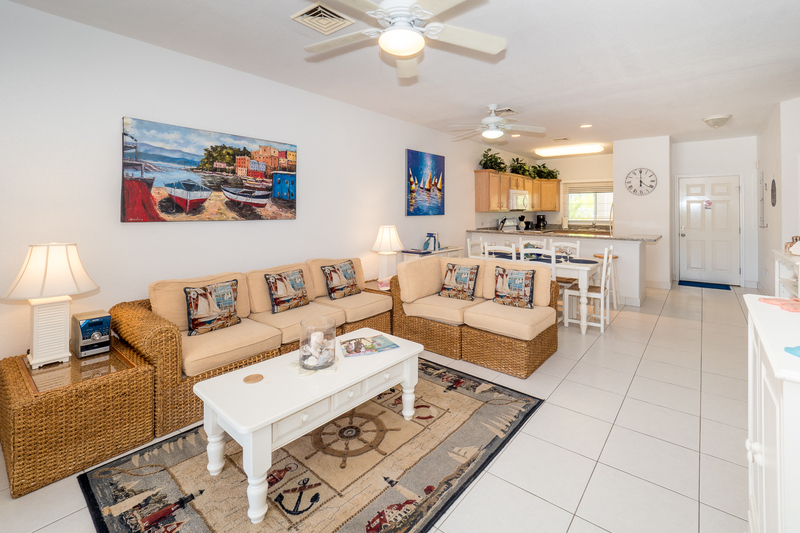 The pics do not do the condo justice either! The environment is fun, absolutely beautiful, and so relaxing. The condo was warm and inviting and nicely decorated but best of all it was SPOTLESS! Nice, clean and wonderfully smelling sheets and towels, as well as new furniture made it feel as though we were the first ones that stayed there. 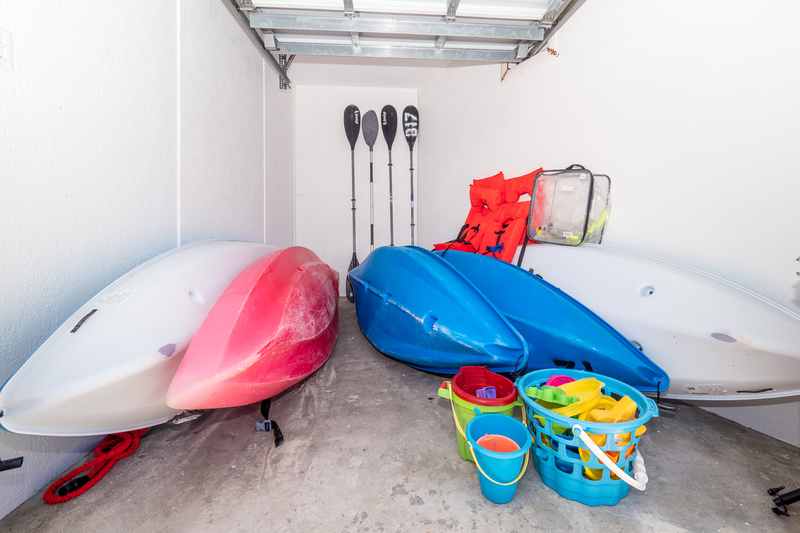 Everything we needed was right there at our disposal and the kayaks were an added bonus. We love adventure and had so much fun that even the few storms that blew through did not dampen our stay (well, we did get wet but that only added to the fun!). The owner and manager of this unit are WONDERFUL too! They helped my husband to give me the best 20th anniversary gift ever - vow renewal on the beach complete with a pastor, dreamy looking altar, and the property manager even took pics and recorded it for us. Now THAT is customer service at it's best. This was the trip of a lifetime and I am so thankful that we were able to rent this place! We will surely be back!!! We loved staying in this condo! Everything was perfect - inside and out. 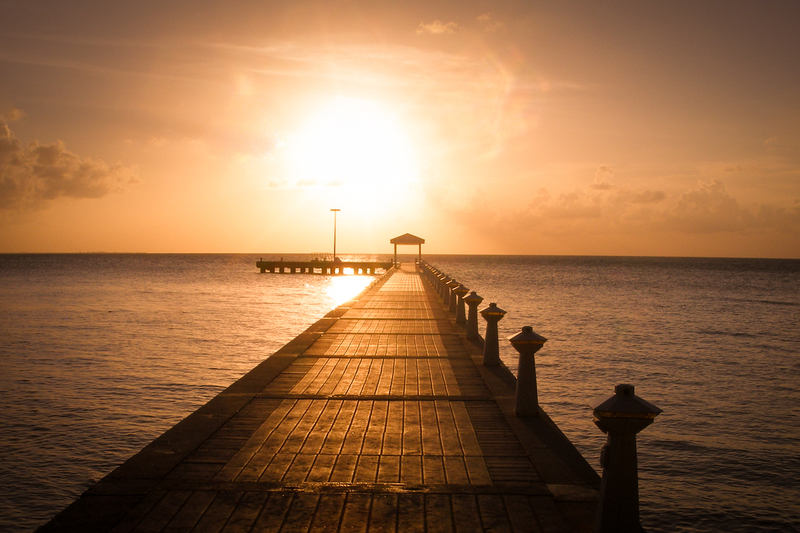 My husband and I traveled to Cayman with our young adult son and this location worked out well for us. It was away from (and yet a manageable drive to) the maddening crowd (cruise ships and the 7 mile beach) but with plenty to do in the area. 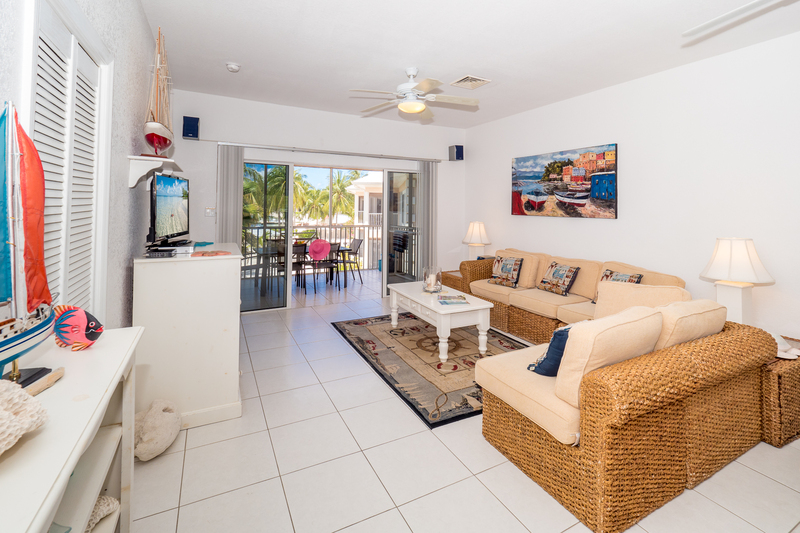 The condo is immaculate and perfectly situated with a full view of the ocean through enormous windows, and just a step out the door to the pool and beach. The owner, property manager and cleaning staff were very accommodating. We would definitely stay here again.